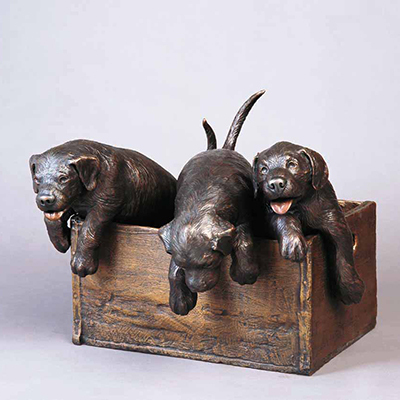 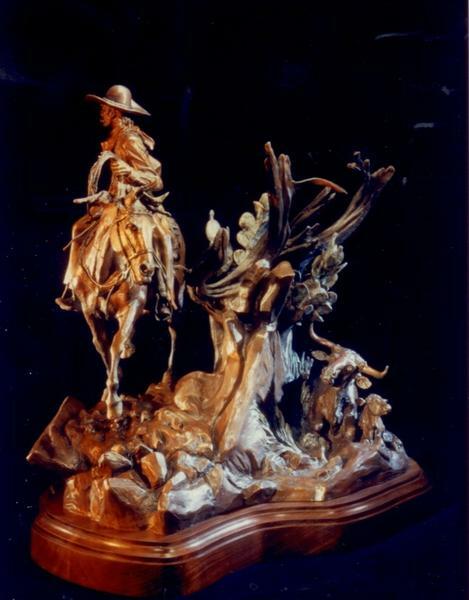 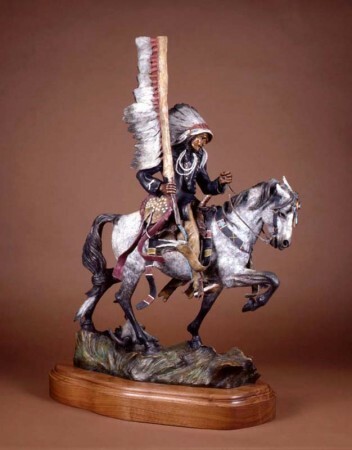 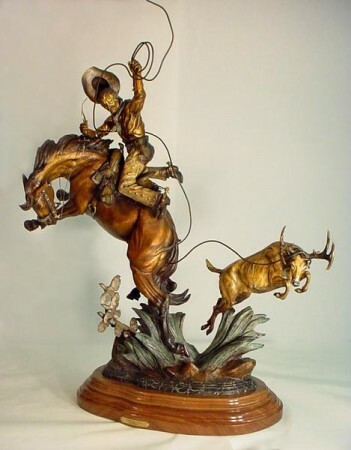 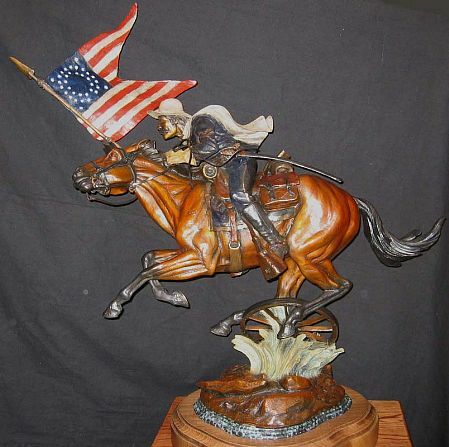 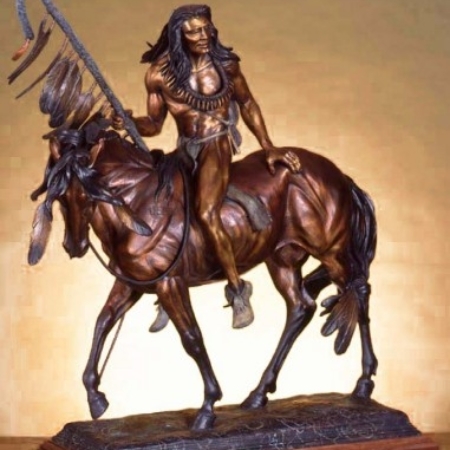 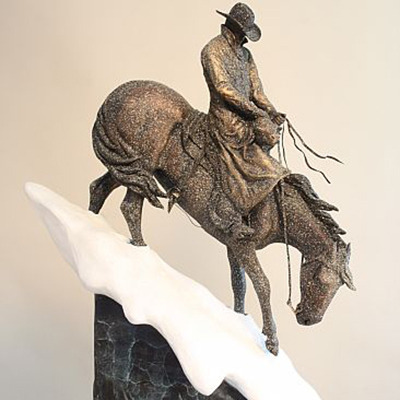 Noted western sculptor and artist, Vic Payne was born in San Angelo, Texas on February 23, 1960 to sculptor Ken and Priscilla Payne. 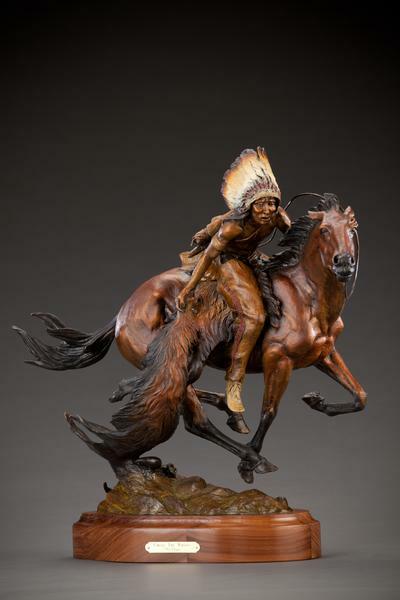 Moving to a ranch in New Mexico instilled in Vic the roots of the West and became central in the shaping of this sculptor’s character. 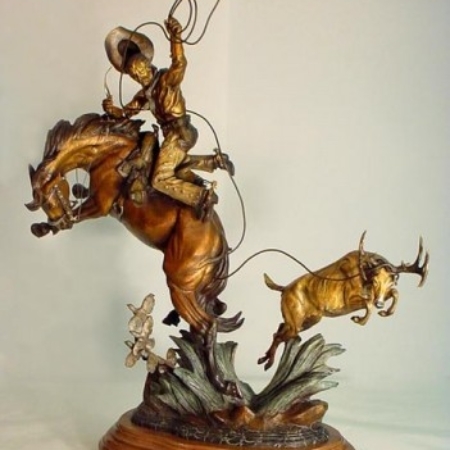 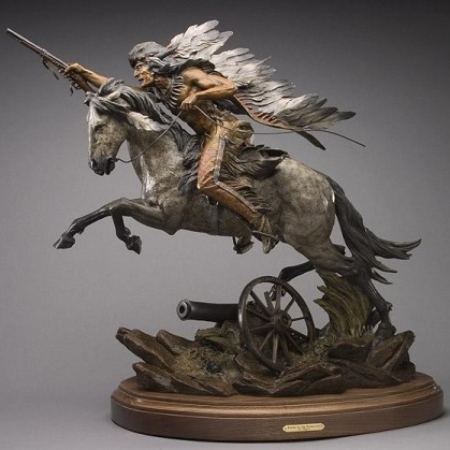 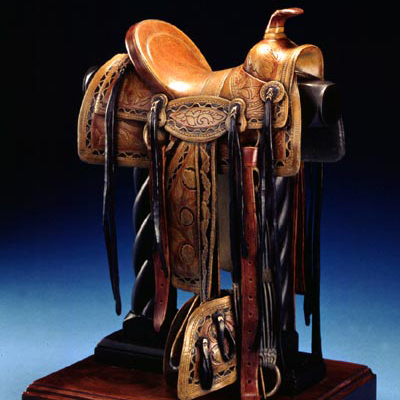 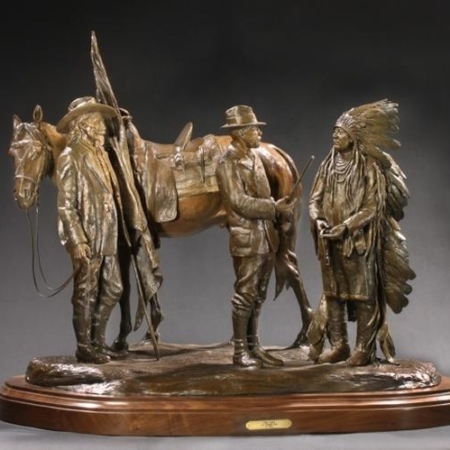 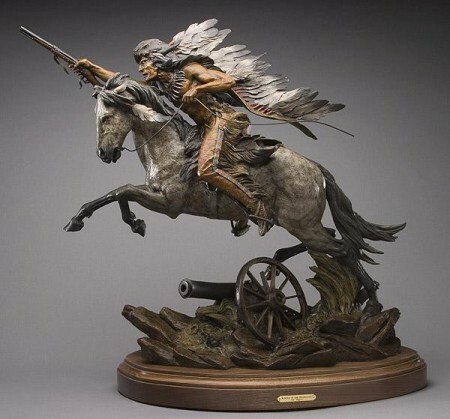 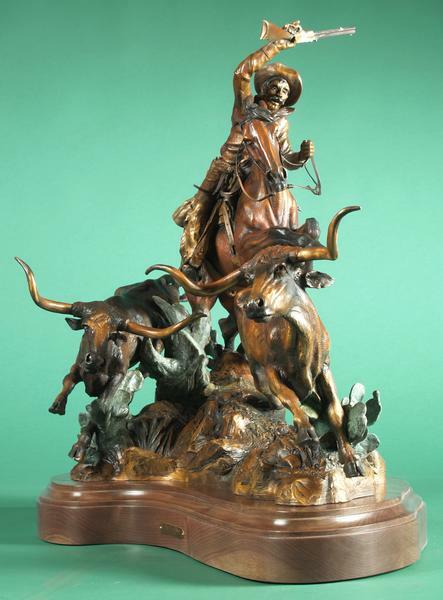 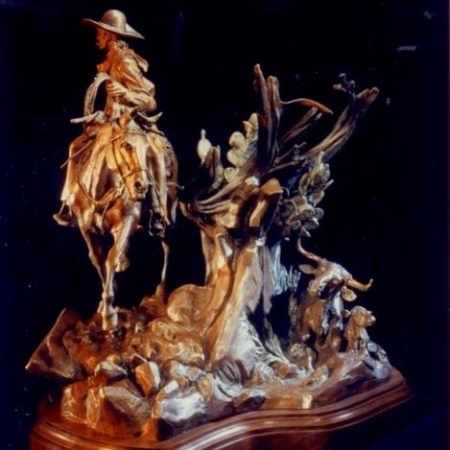 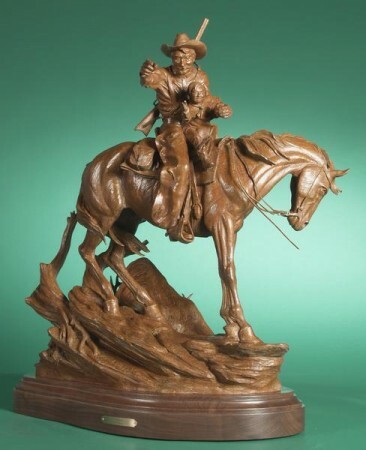 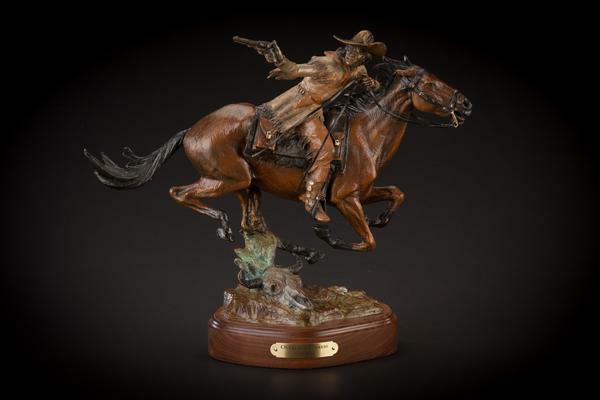 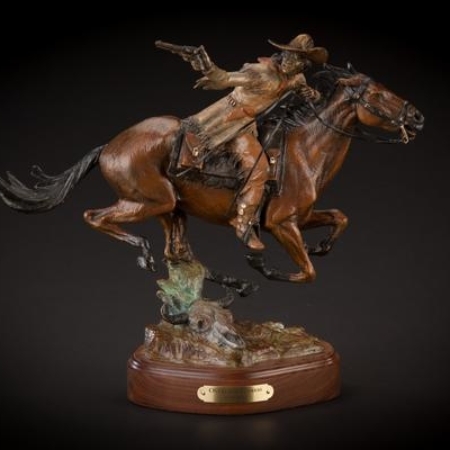 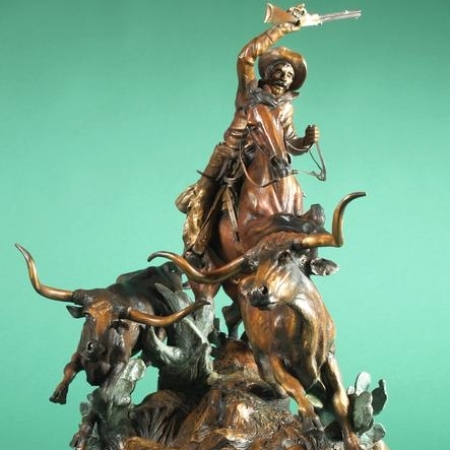 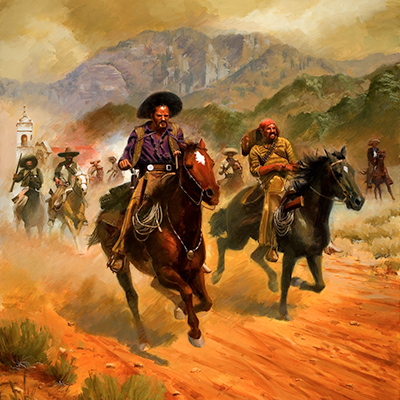 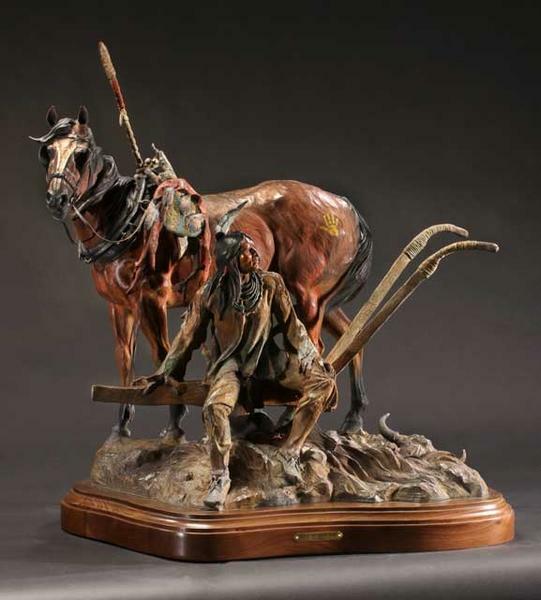 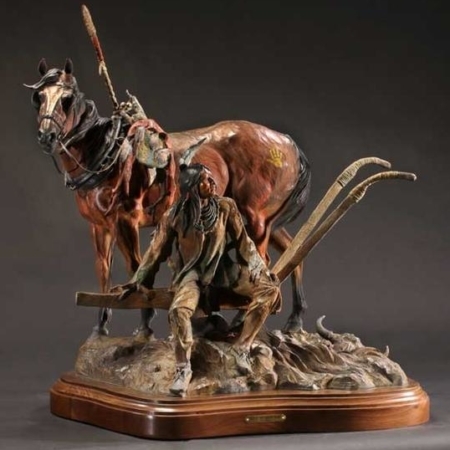 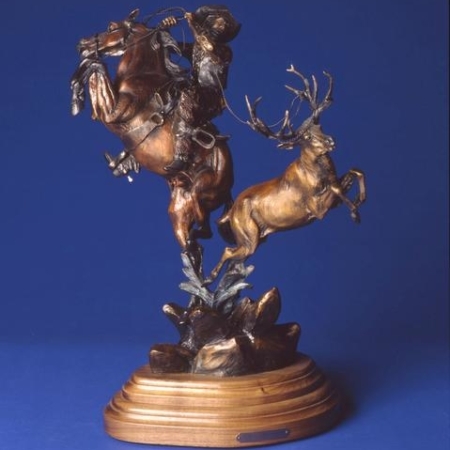 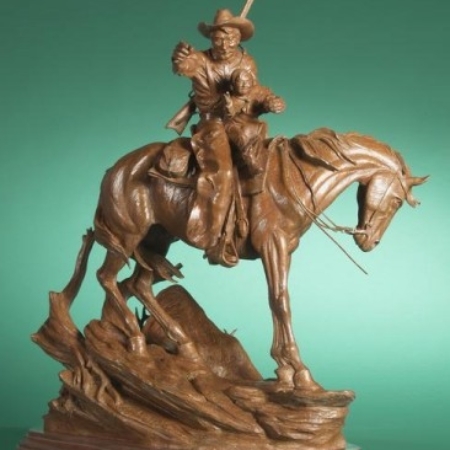 His families’ ranching heritage, tales of Billy the Kid, the Lincoln County Wars, pictures of paintings and bronzes by Charlie Russell and Frederic Remington made the “Old West” come alive and inspired Vic to try his own hand at sculpting. 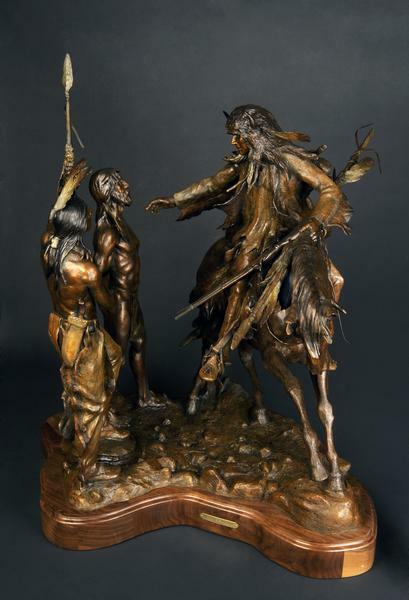 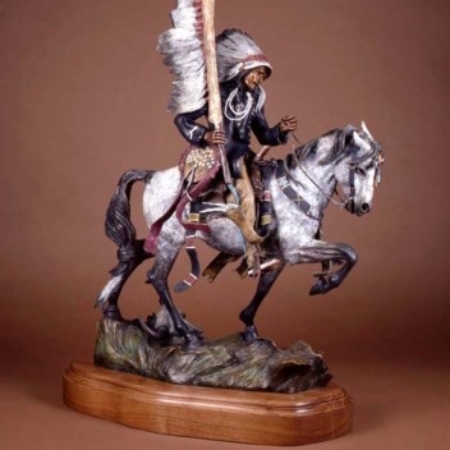 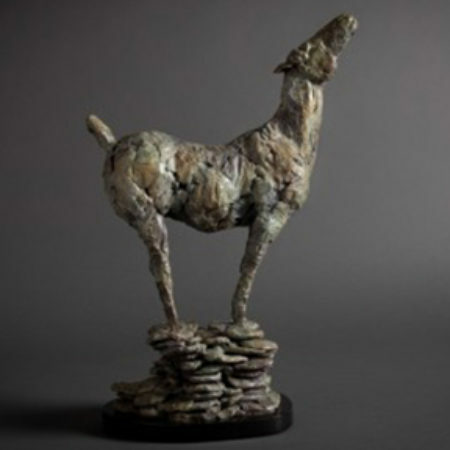 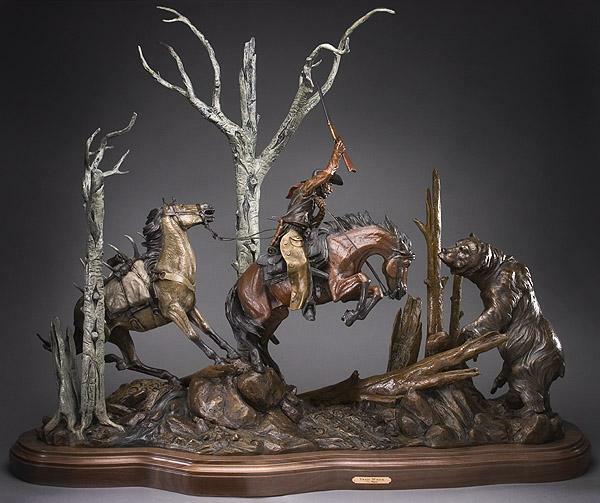 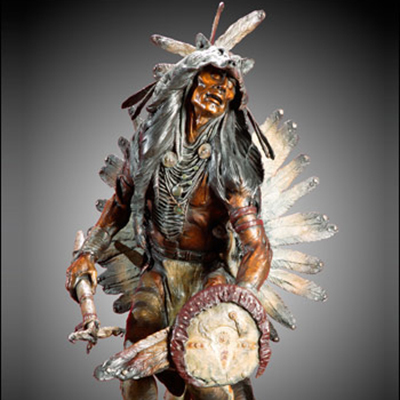 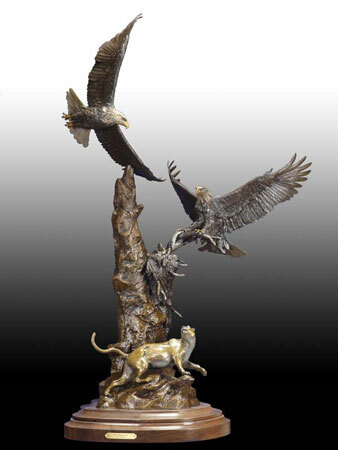 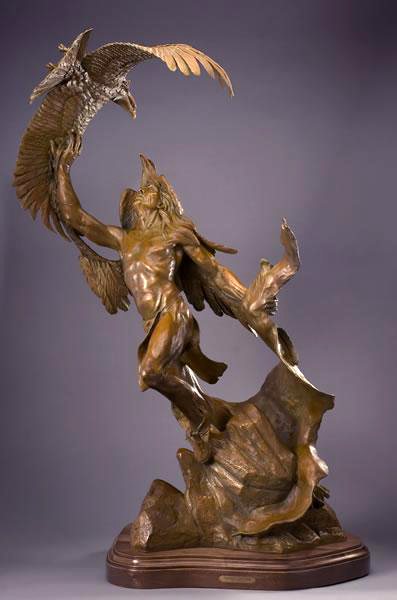 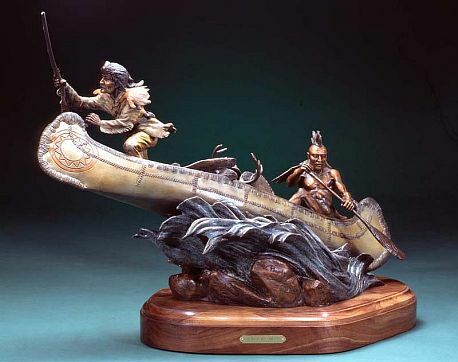 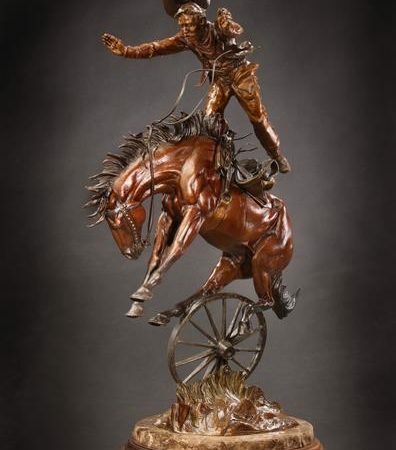 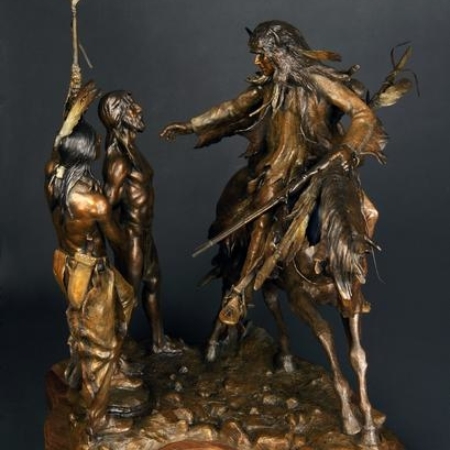 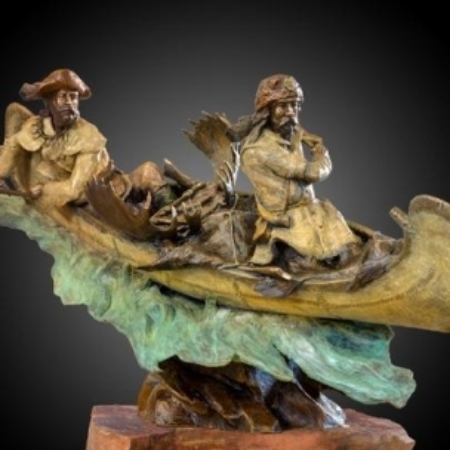 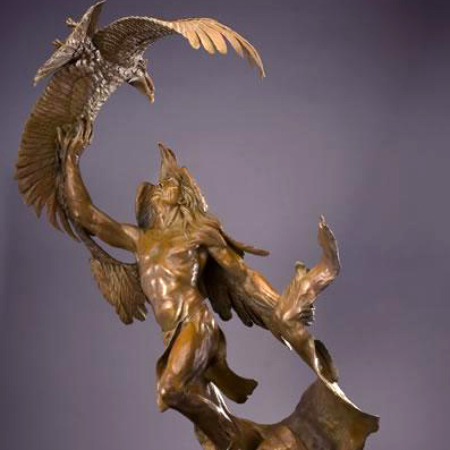 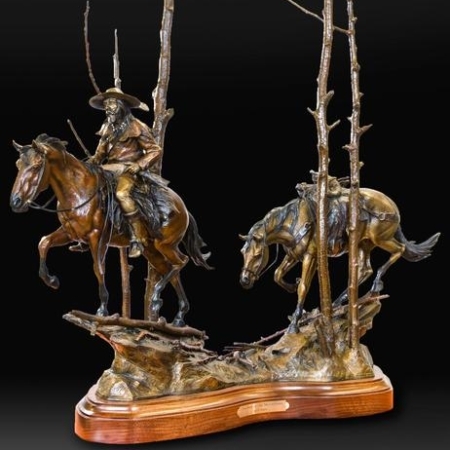 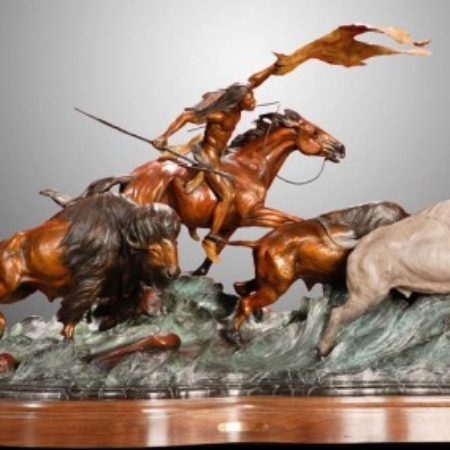 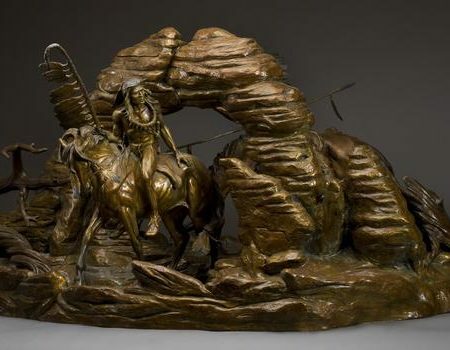 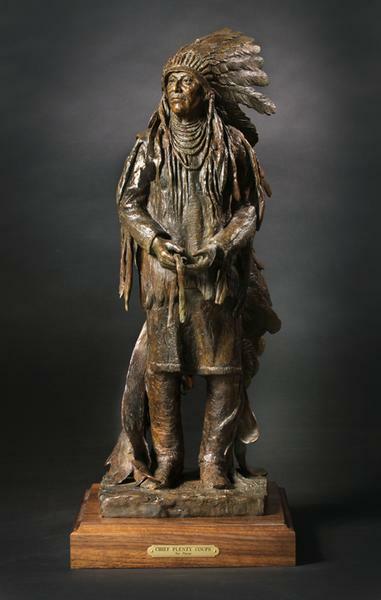 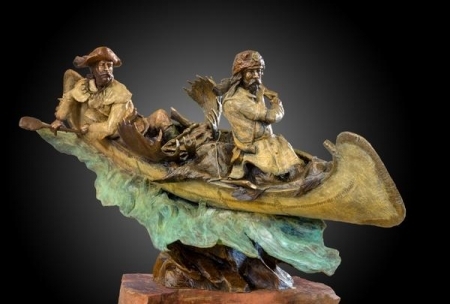 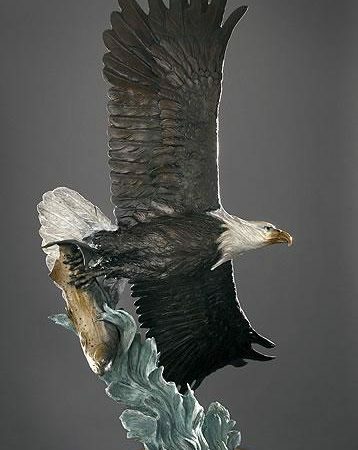 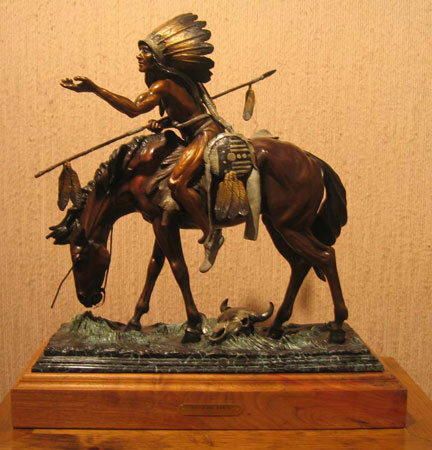 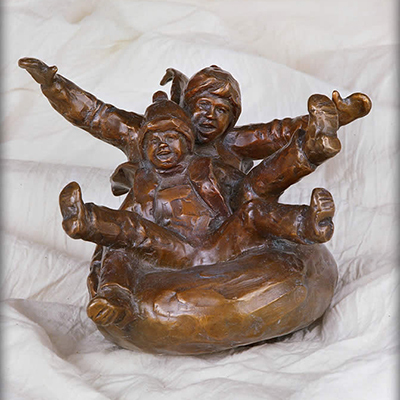 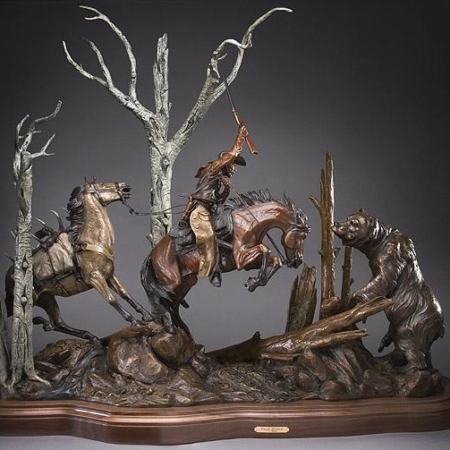 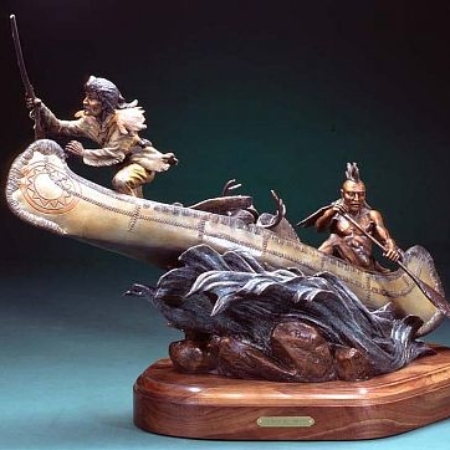 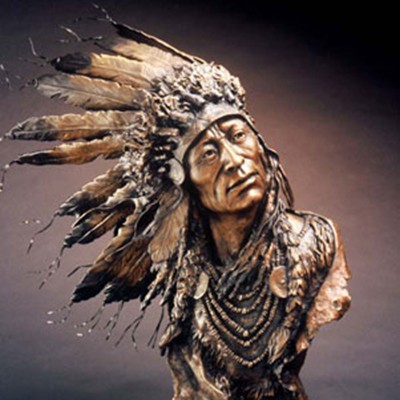 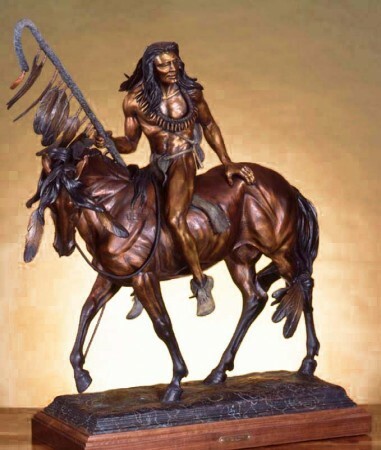 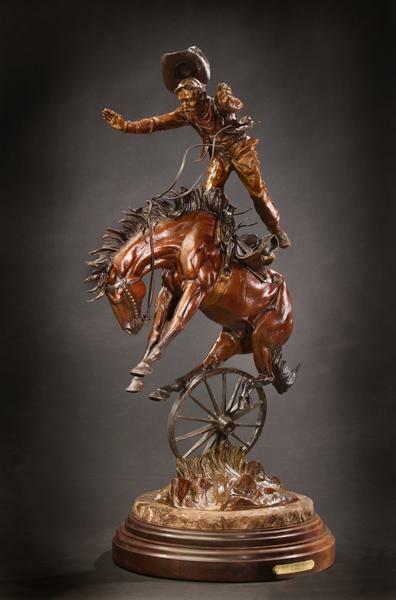 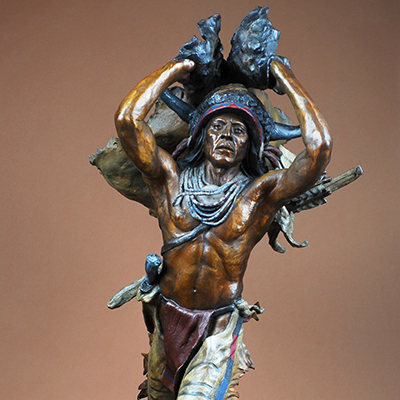 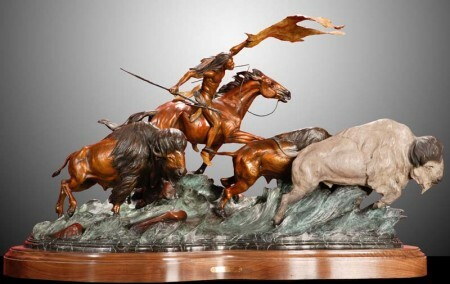 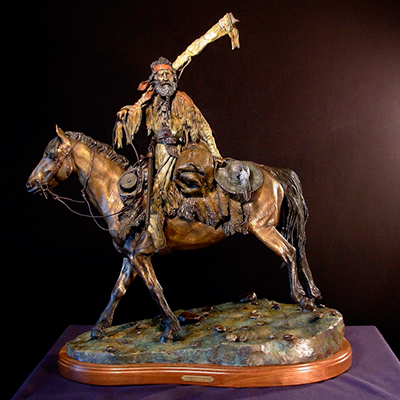 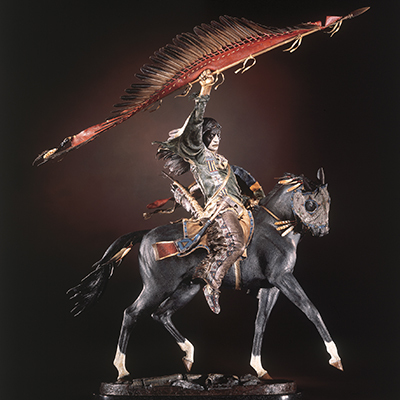 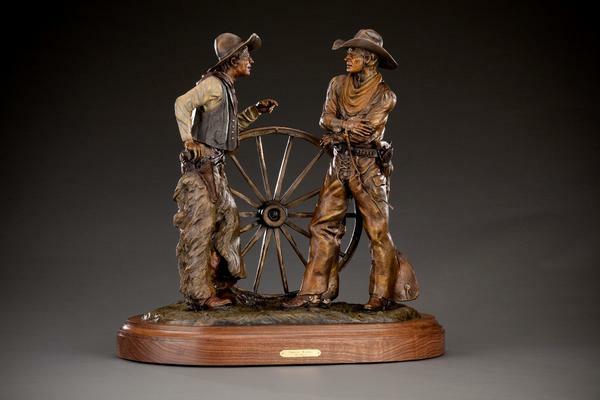 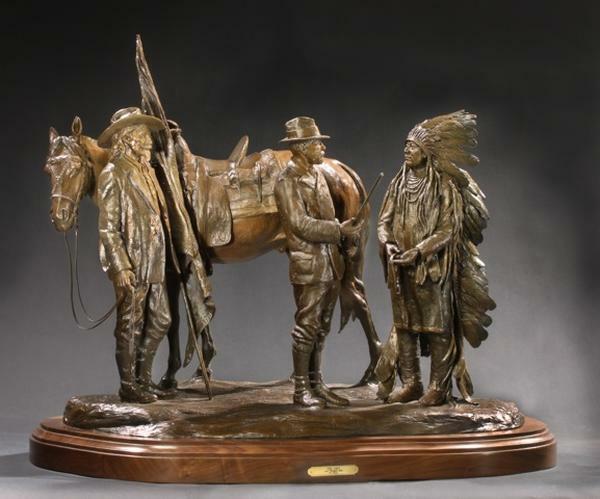 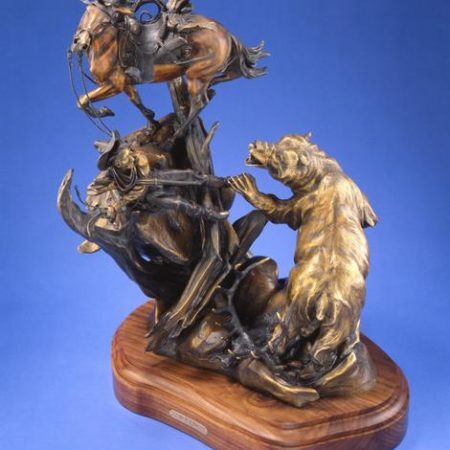 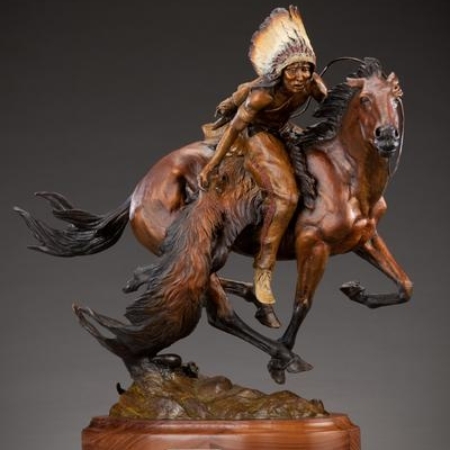 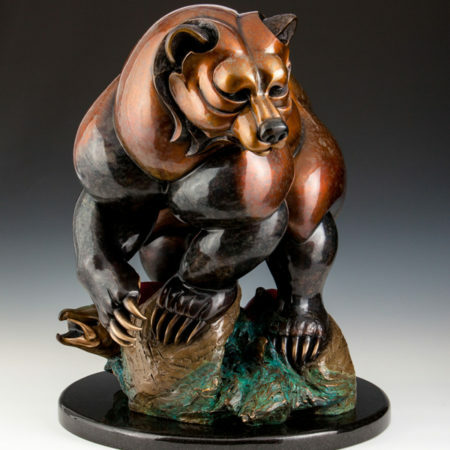 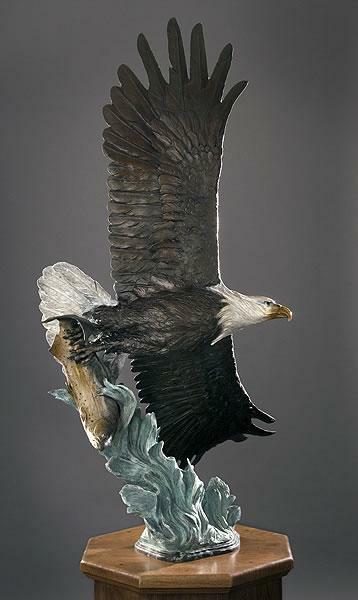 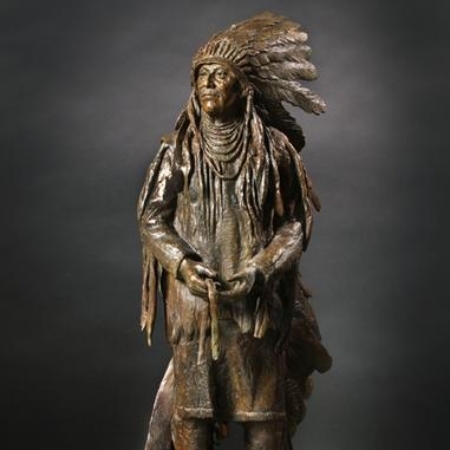 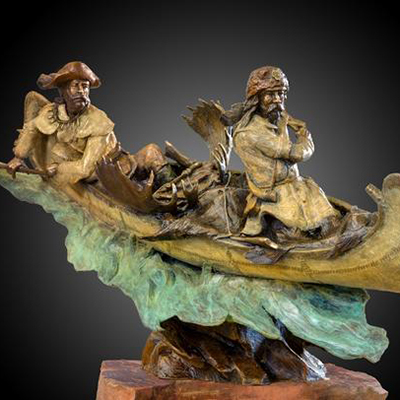 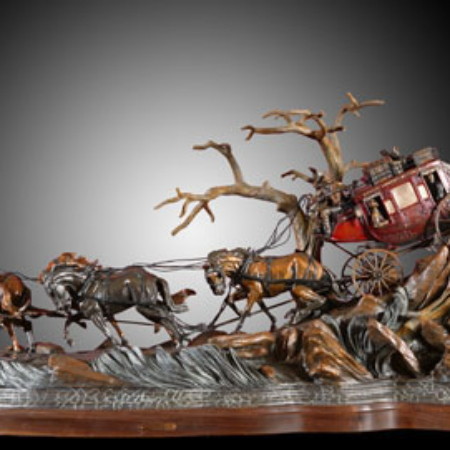 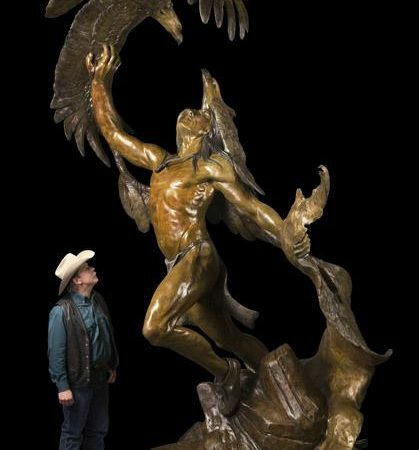 Sculpting for nearly 30 years, Vic Payne’s limited-edition bronze sculptures pay homage to the West with a passion that evokes the pioneering spirit of the land and its peoples leading the viewer's imagination through the story his pieces tell. 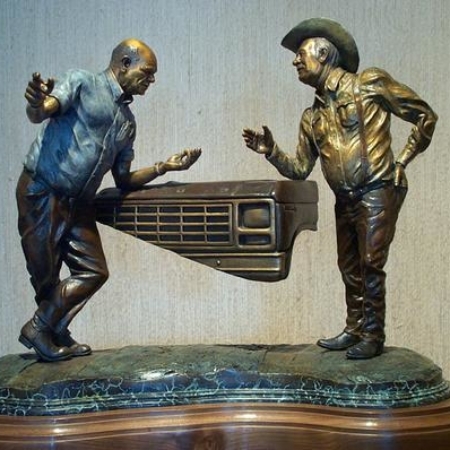 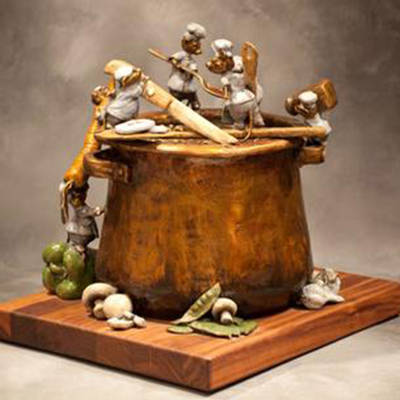 Vic’s artistic approach to sculpting is nationally and internationally recognized as being imaginative and innovative, chronicling the life and era of our nation’s history. 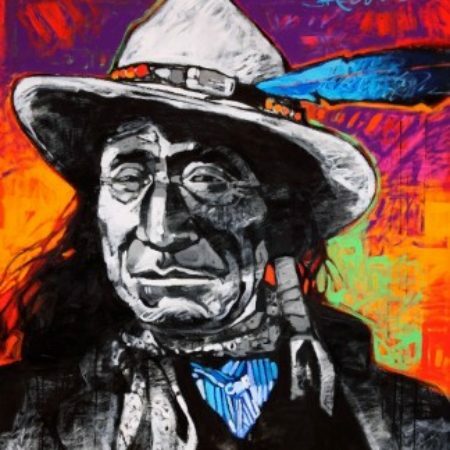 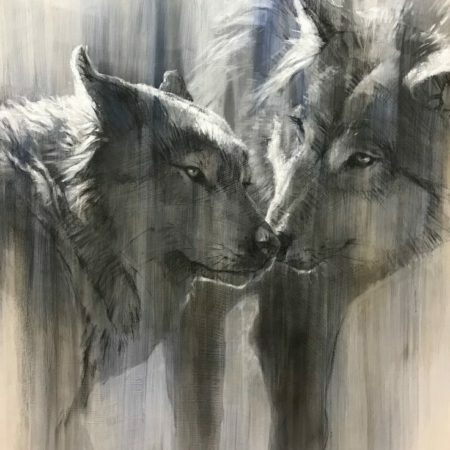 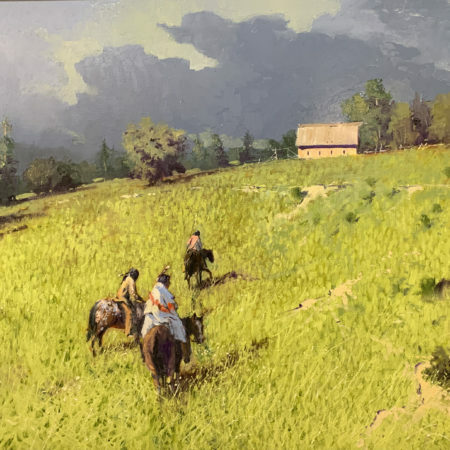 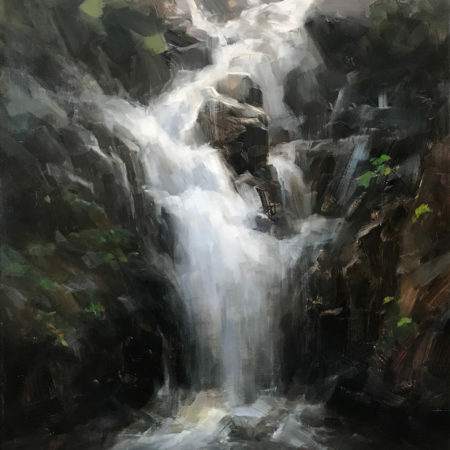 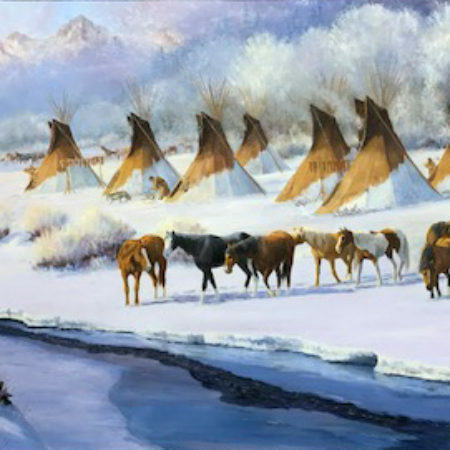 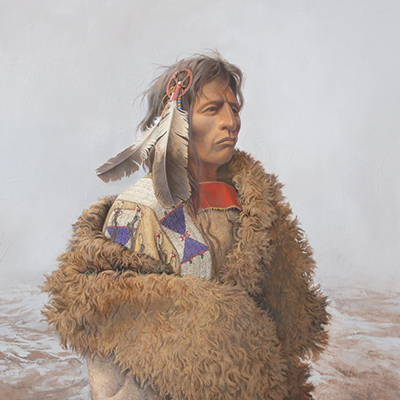 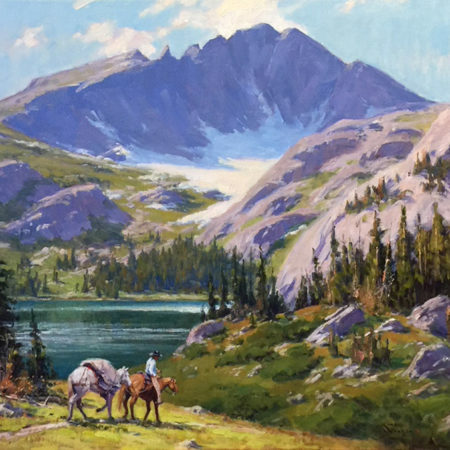 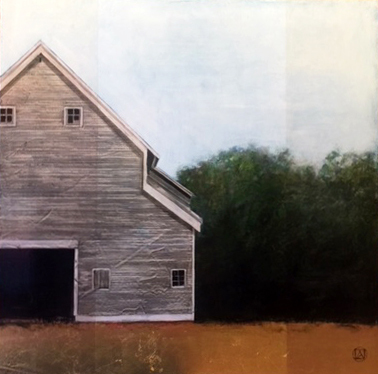 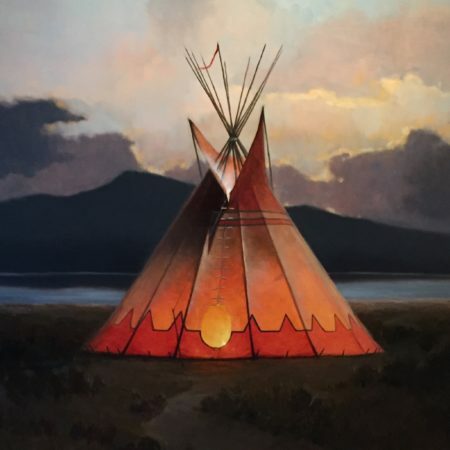 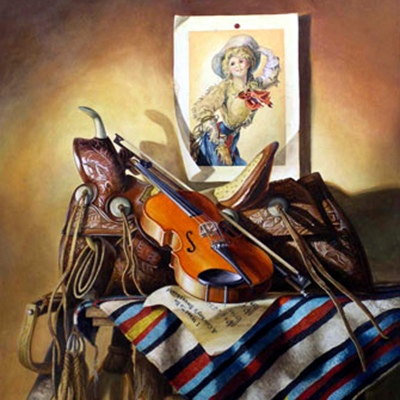 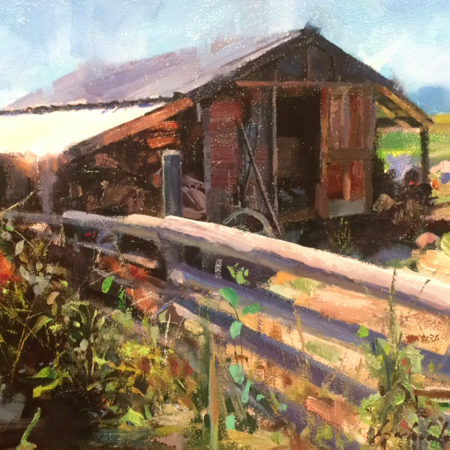 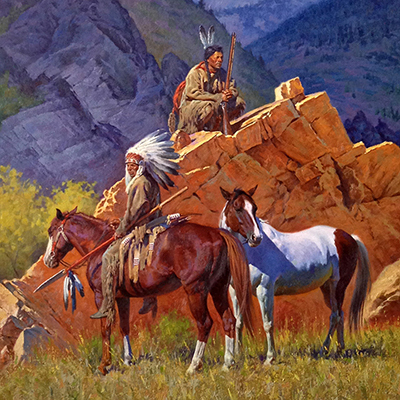 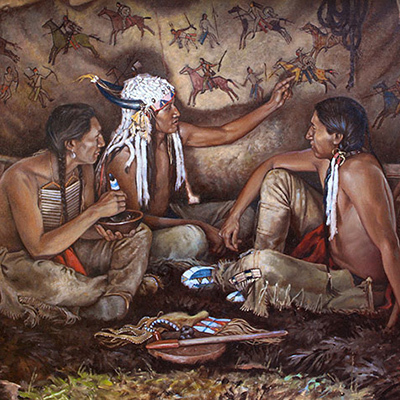 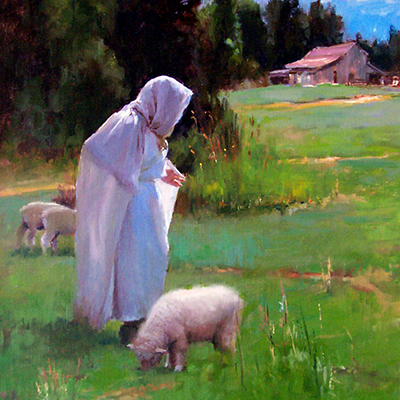 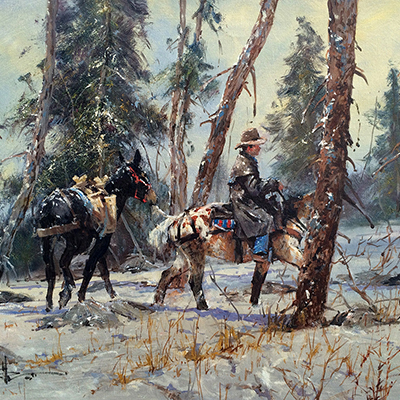 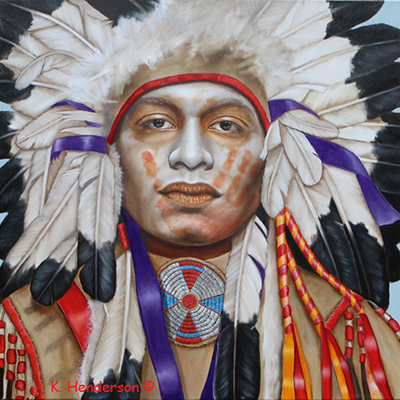 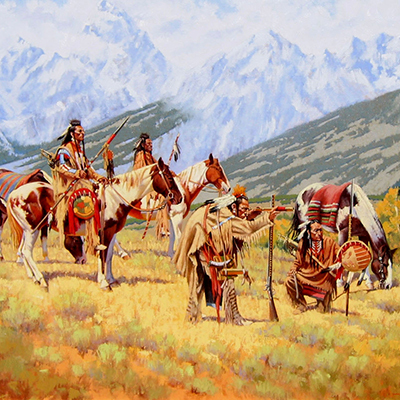 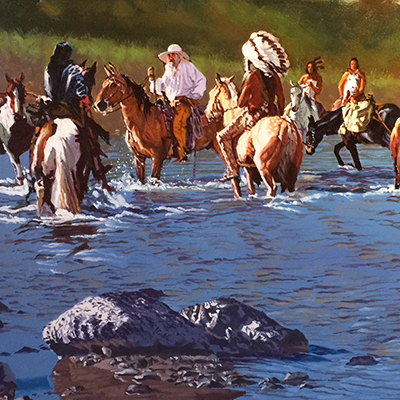 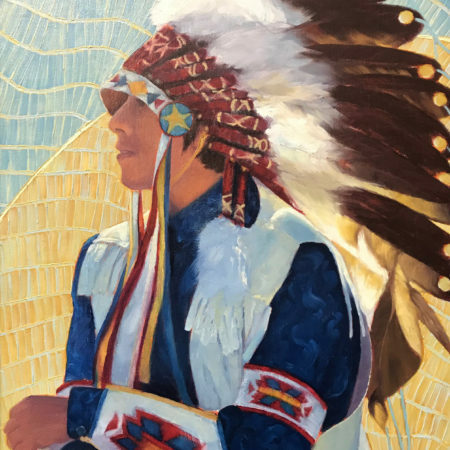 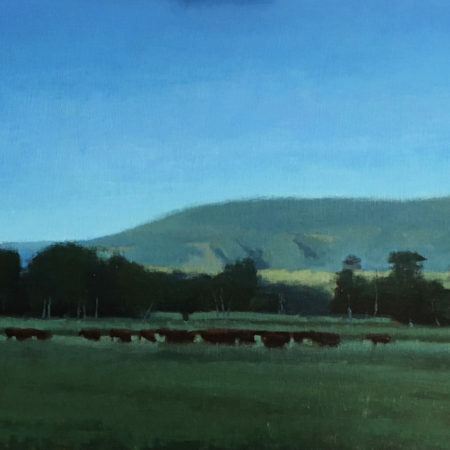 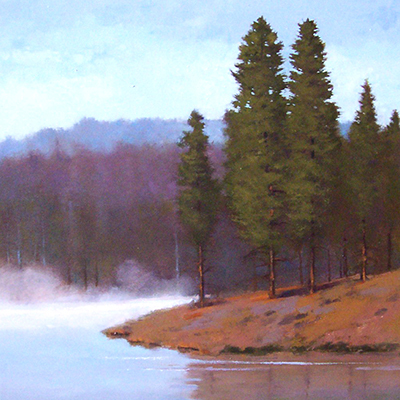 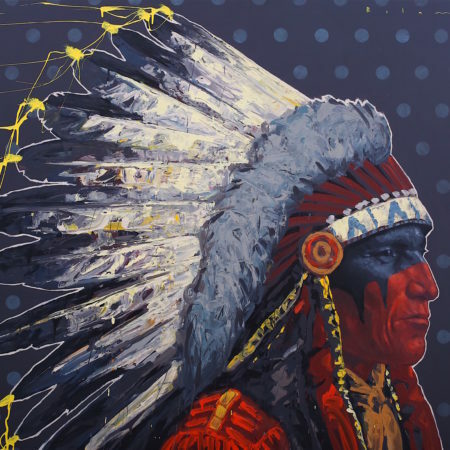 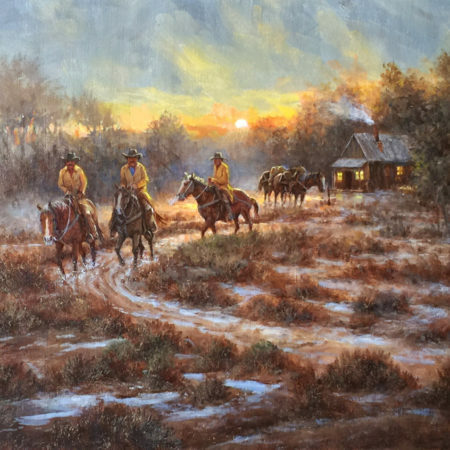 He has drawn inspiration and studied with master teachers such as Bruno Luccesi, Lincoln Fox, Fritz White and many other notable artists to continue preserving the history and spirit of the American West. 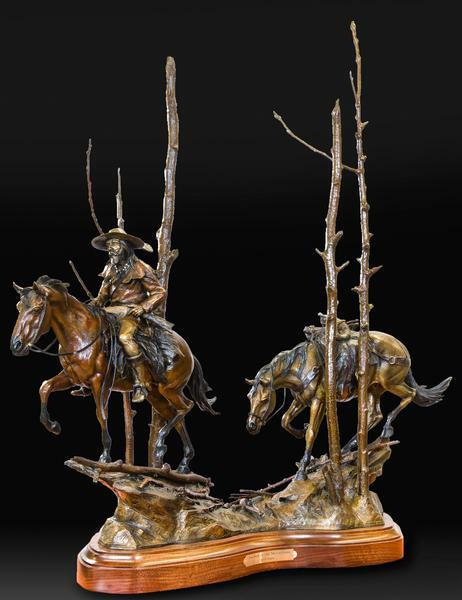 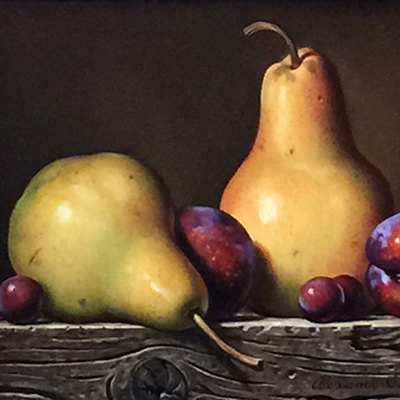 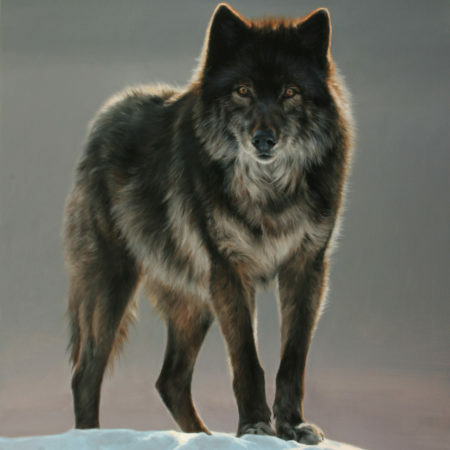 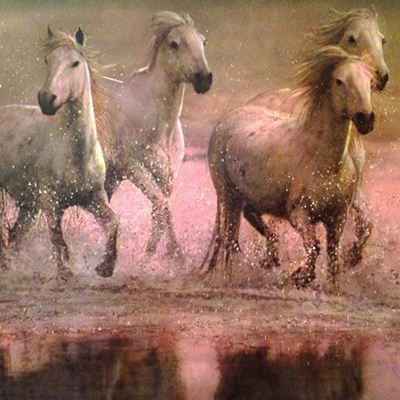 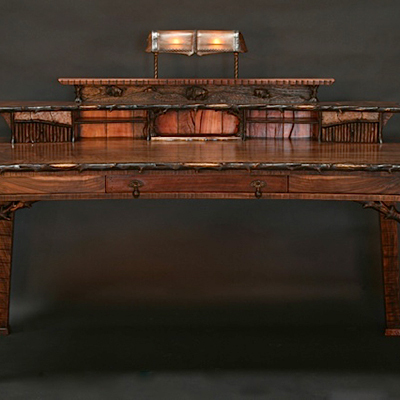 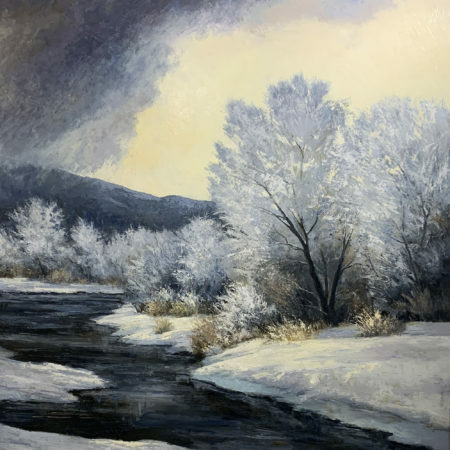 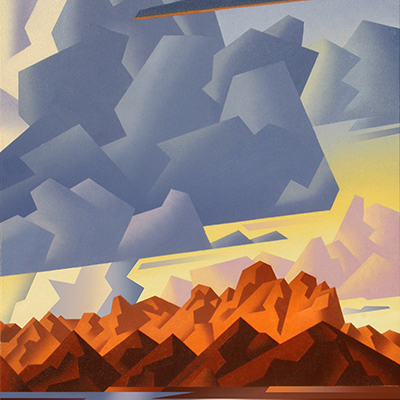 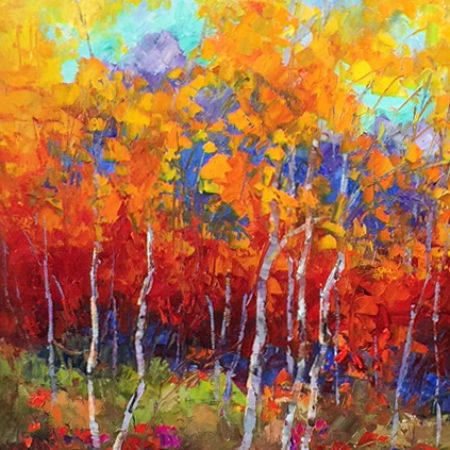 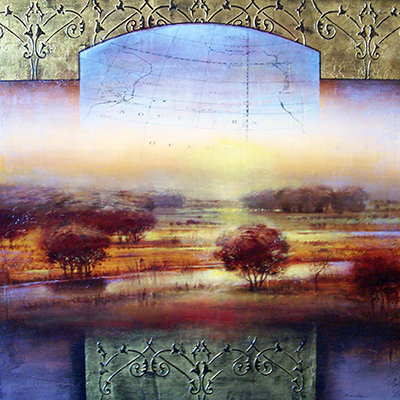 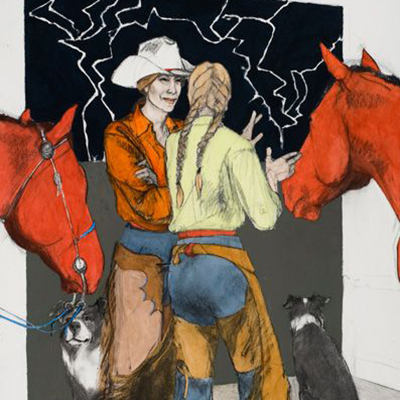 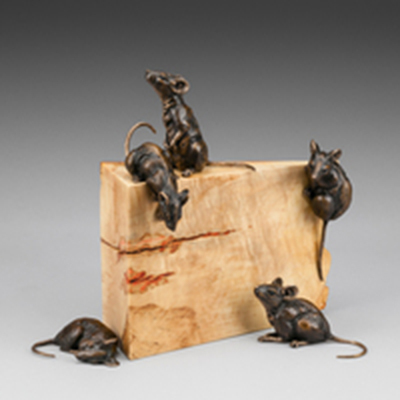 As the demand for Vic’s work continued to grow, in 1991 he eventually opened his first gallery in Santa Fe, New Mexico becoming known as Mountain Trails. 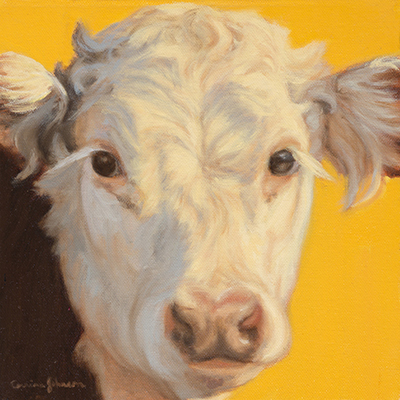 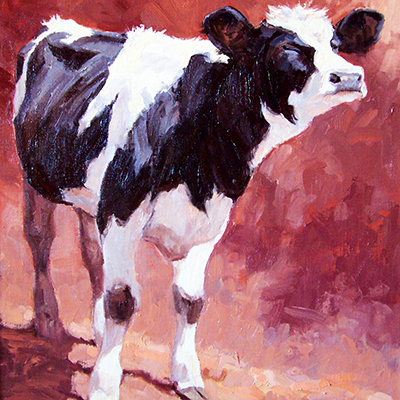 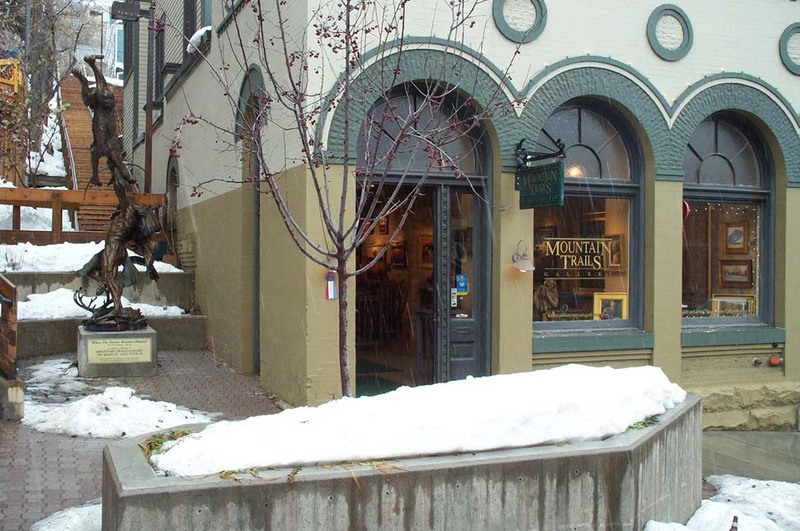 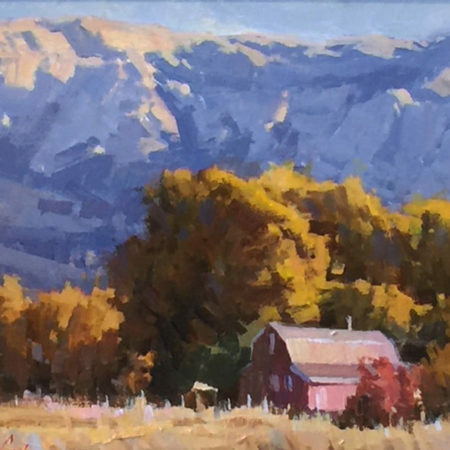 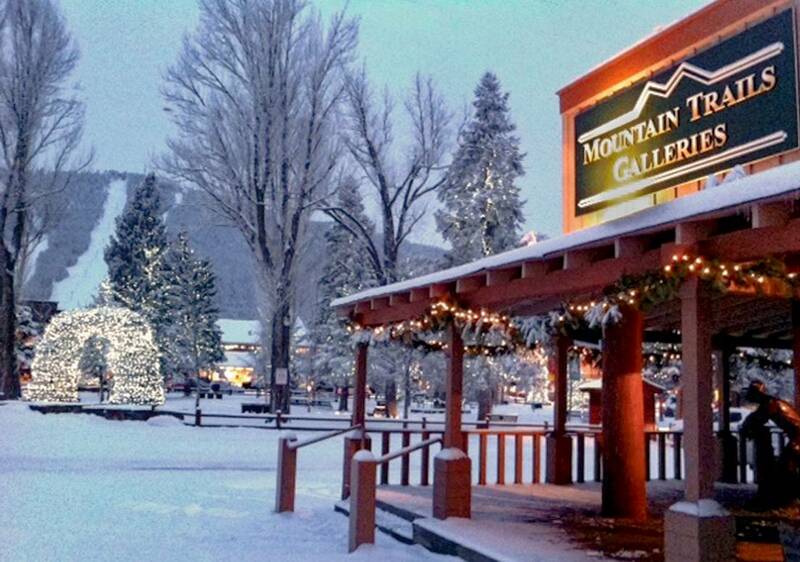 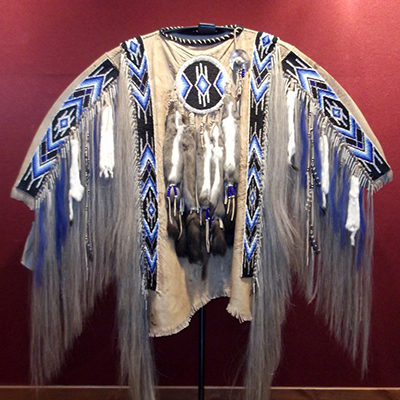 Gallery locations in Jackson Hole and Cody, Wyoming and Utah soon followed. 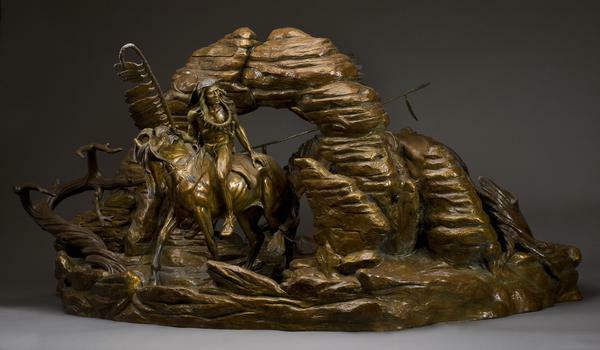 In opening his studio to the public, he was the first sculptor to pioneer an innovative concept of bronze sales through clay works-in-progress. 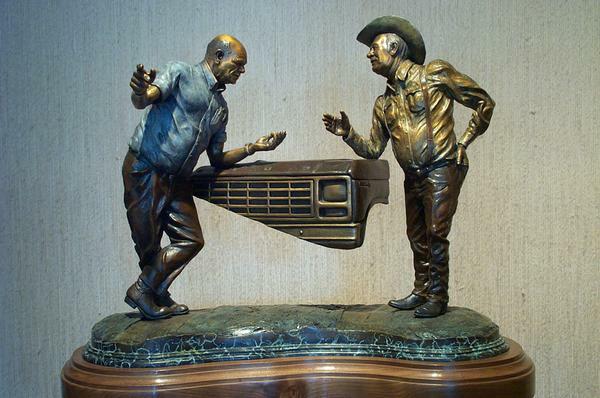 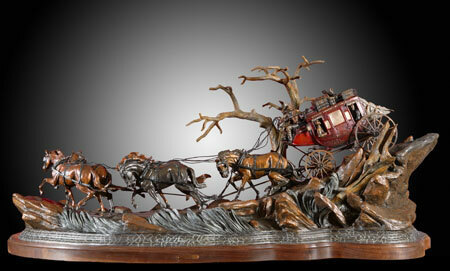 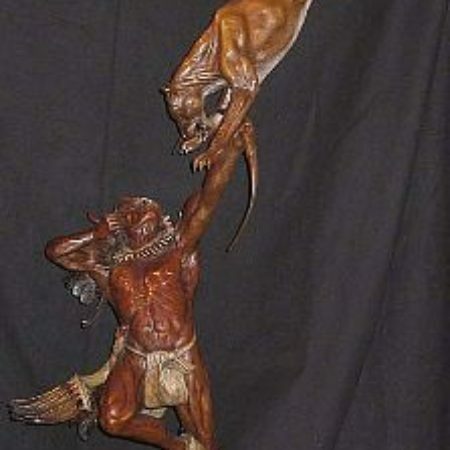 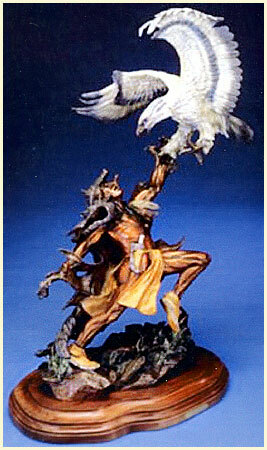 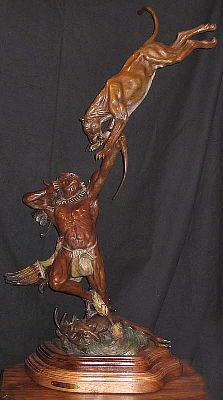 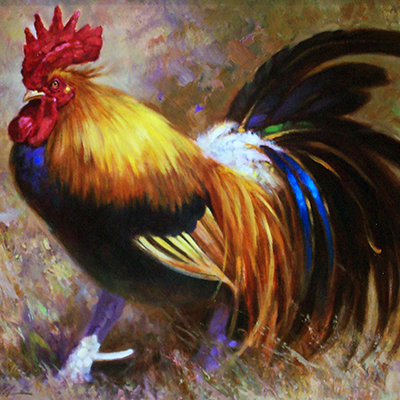 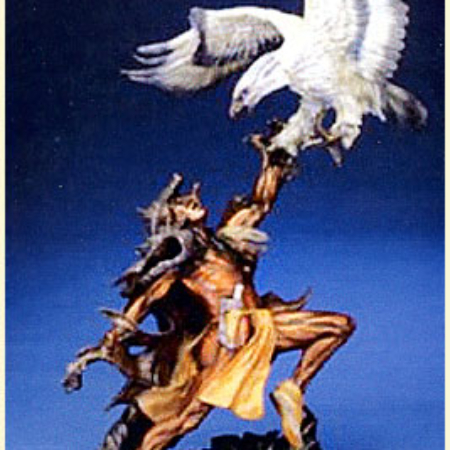 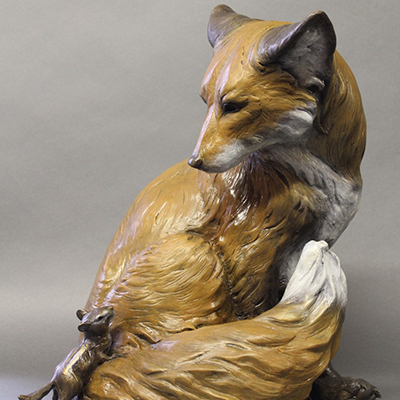 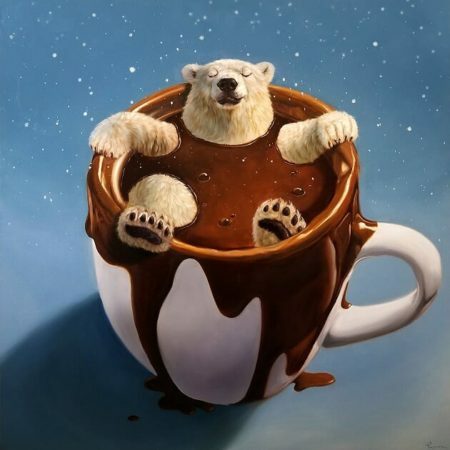 This concept is now widely used throughout the Southwest Art Community by most sculptors. 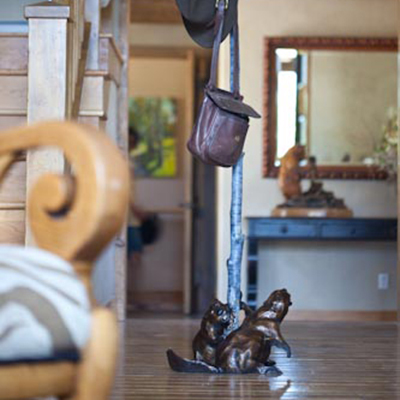 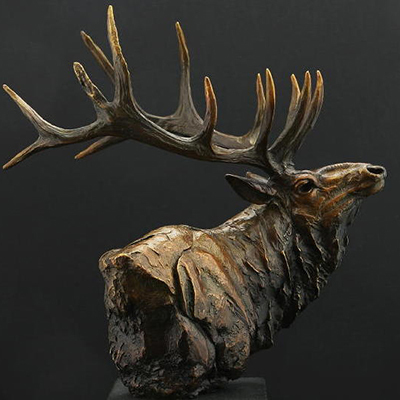 In 2002, Vic decided to focus his attention on his first love of sculpting and sold his art galleries in Santa Fe and Park City. 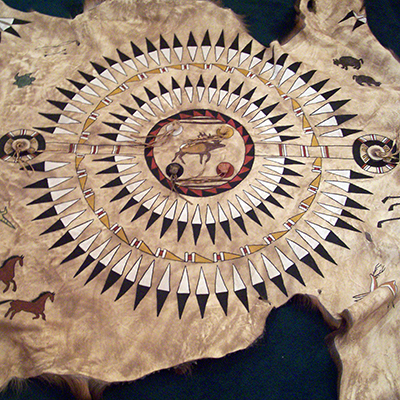 The re-organizing of his time now would allow for in depth research and study of subject matter, history, technique and design. 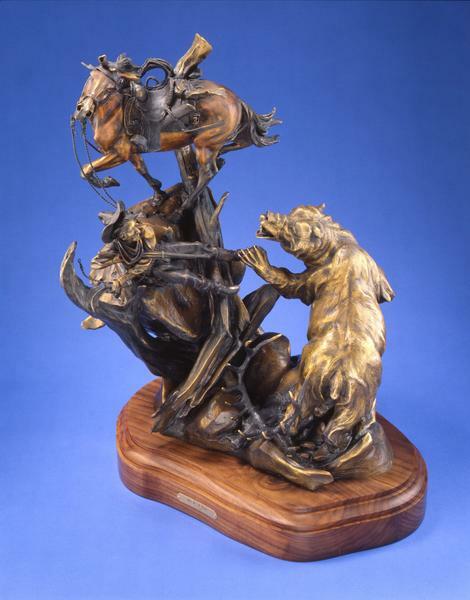 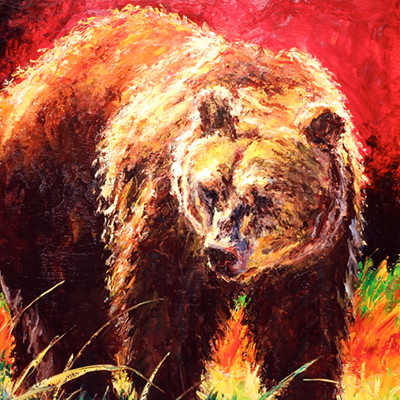 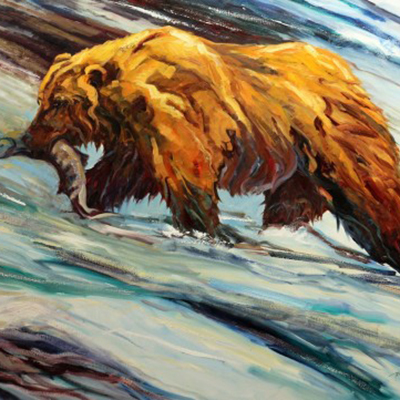 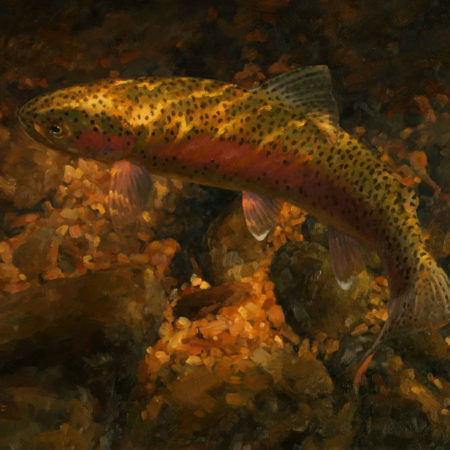 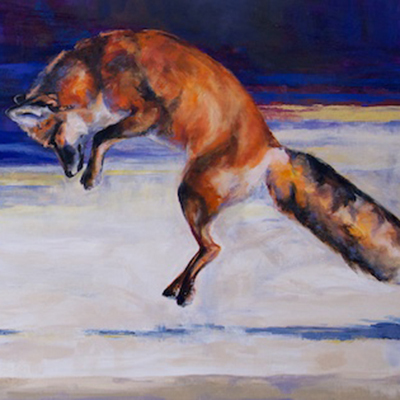 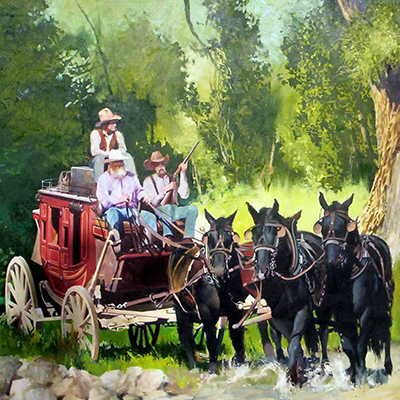 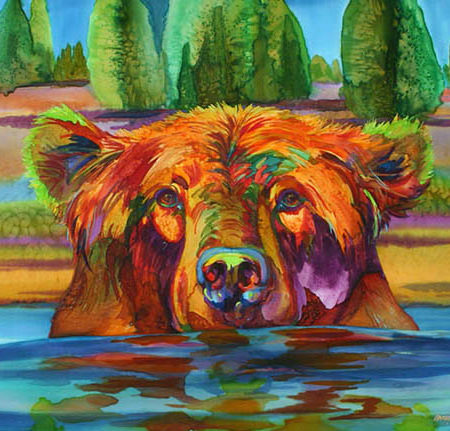 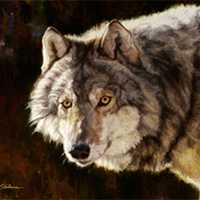 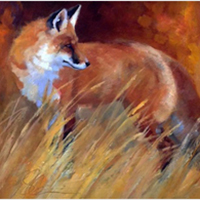 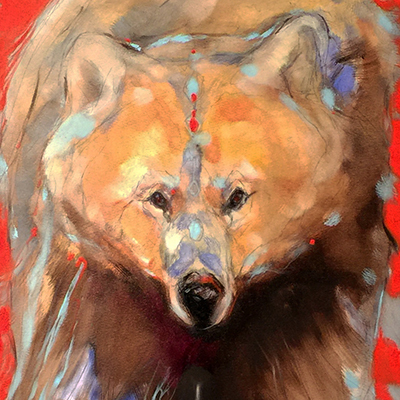 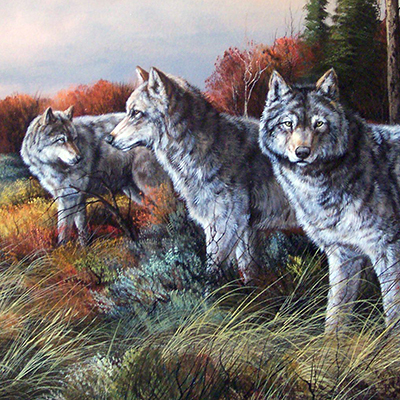 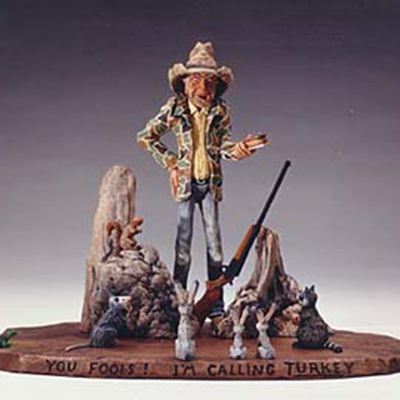 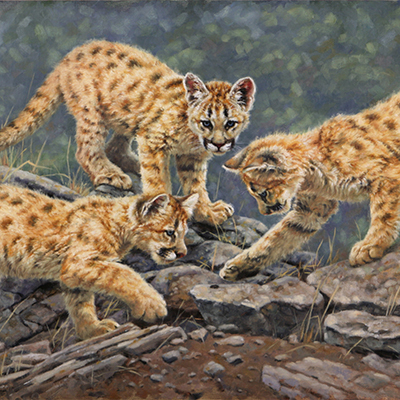 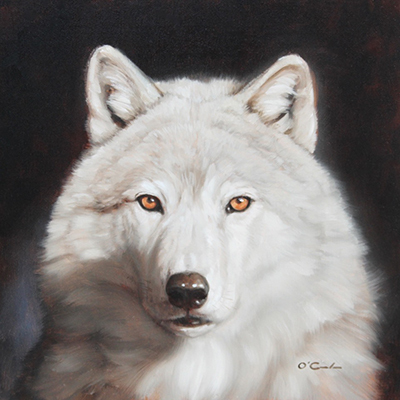 Vic is devoted to portraying the American West and wildlife in as an accurate form as can be found in reference materials available to man. 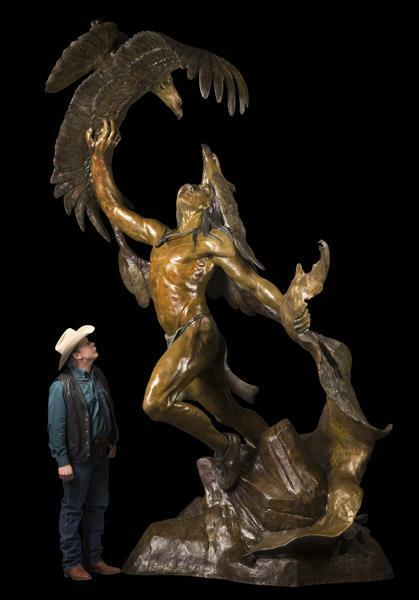 Over the past 10 years, Vic has been commissioned to sculpt numerous monumental bronze sculptures for corporations, municipalities and individuals. 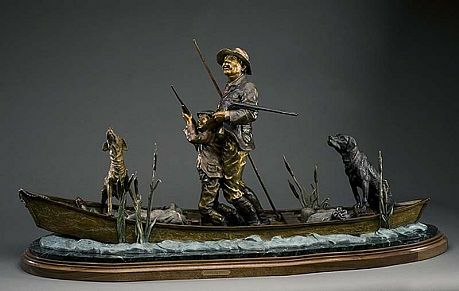 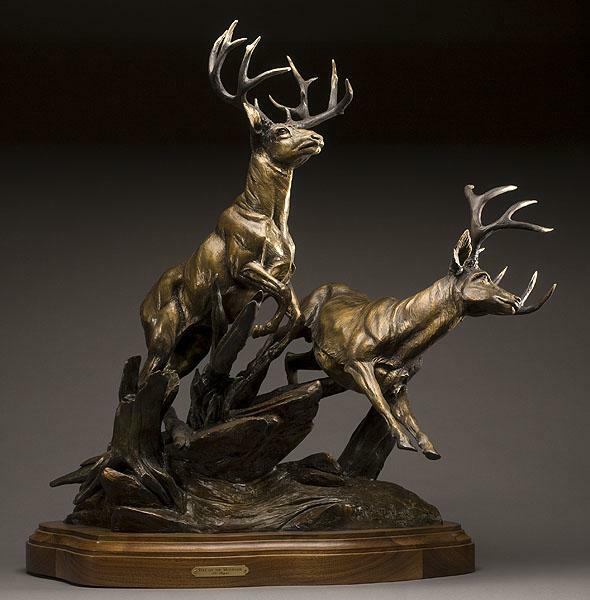 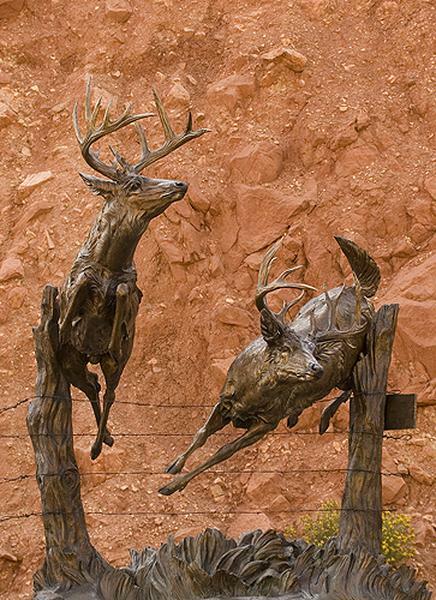 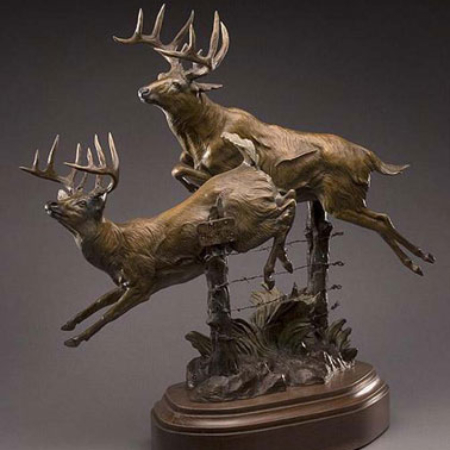 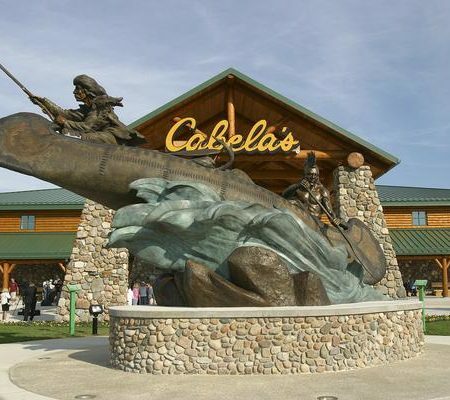 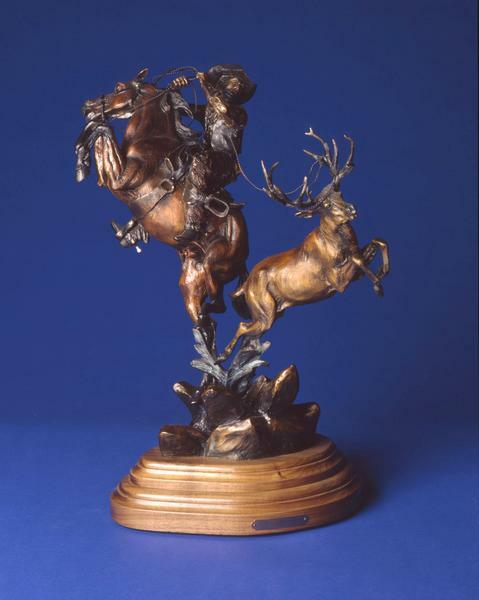 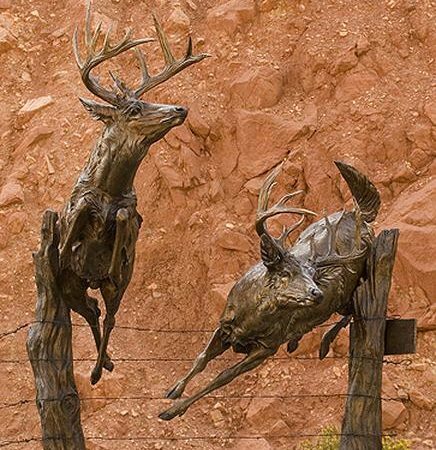 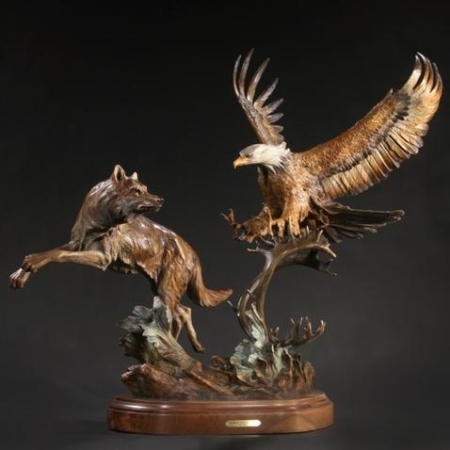 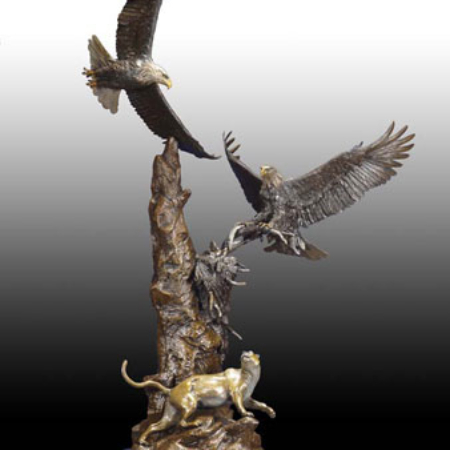 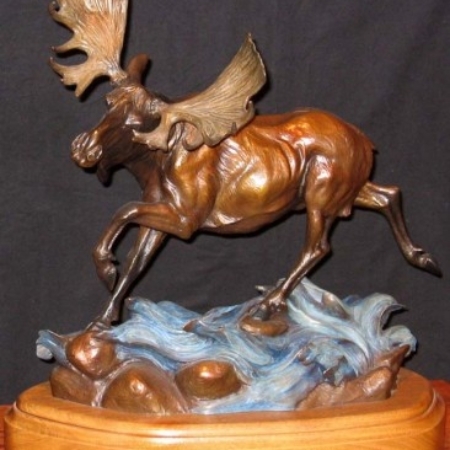 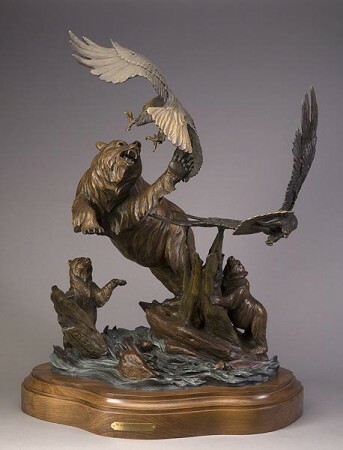 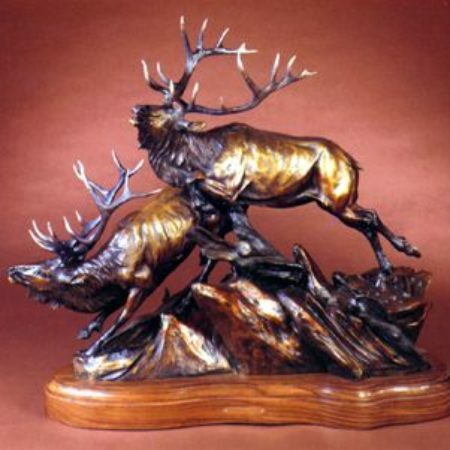 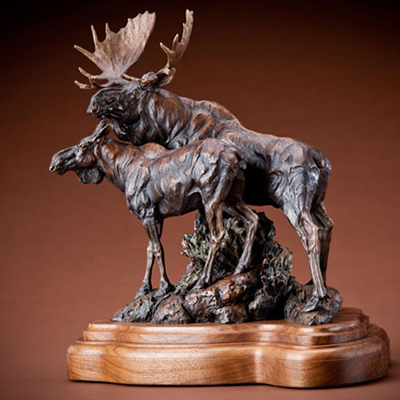 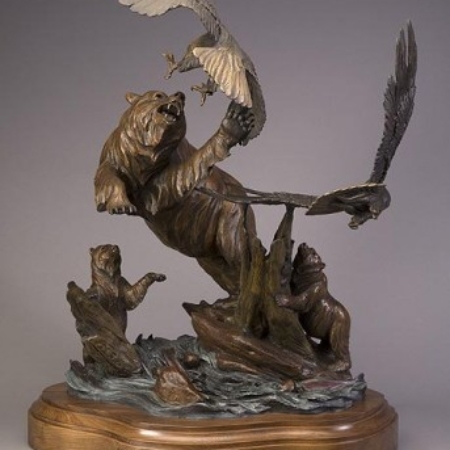 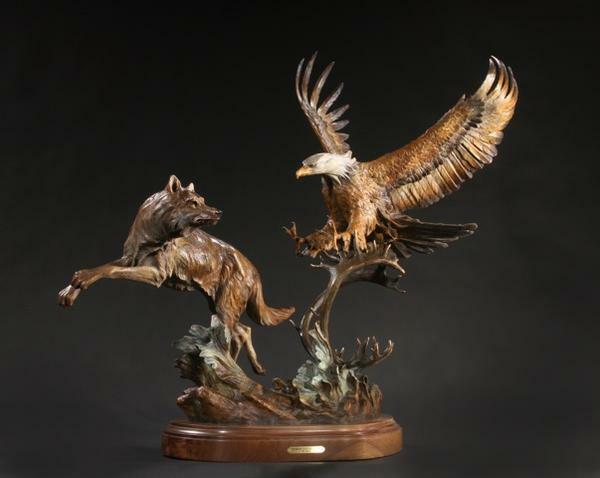 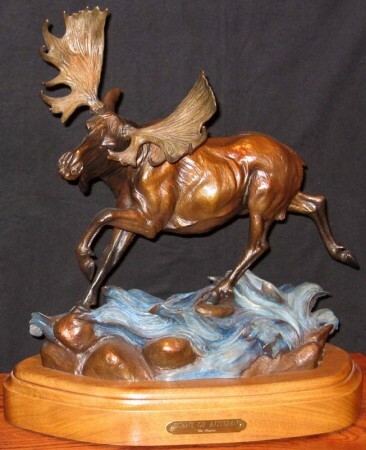 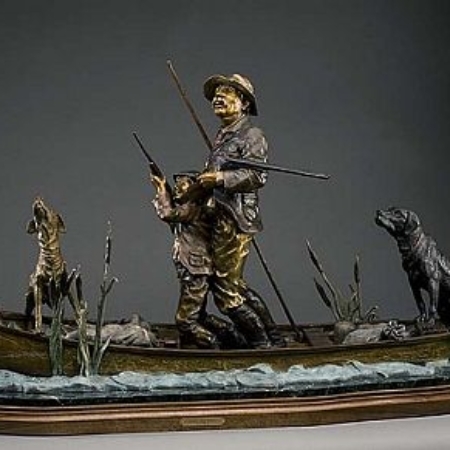 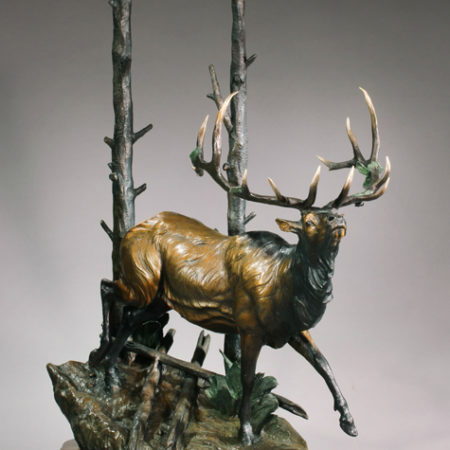 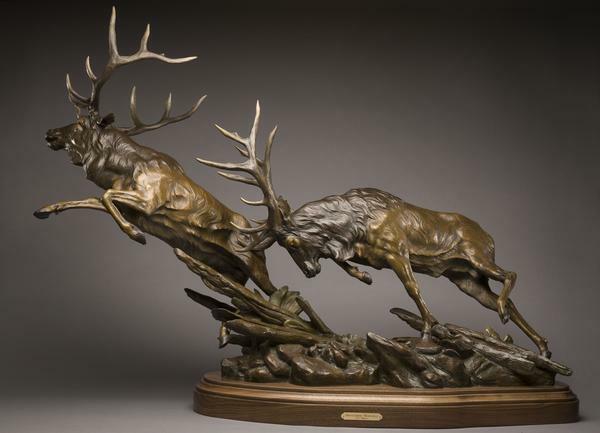 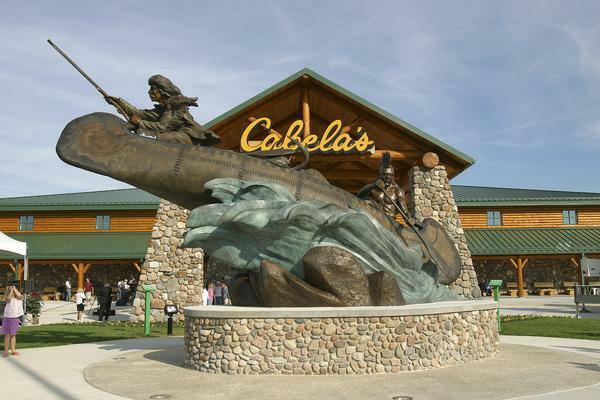 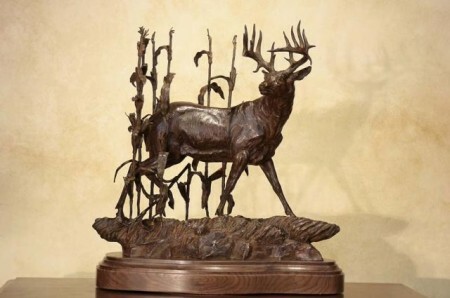 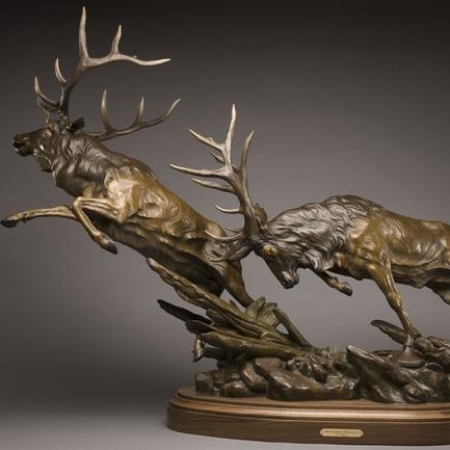 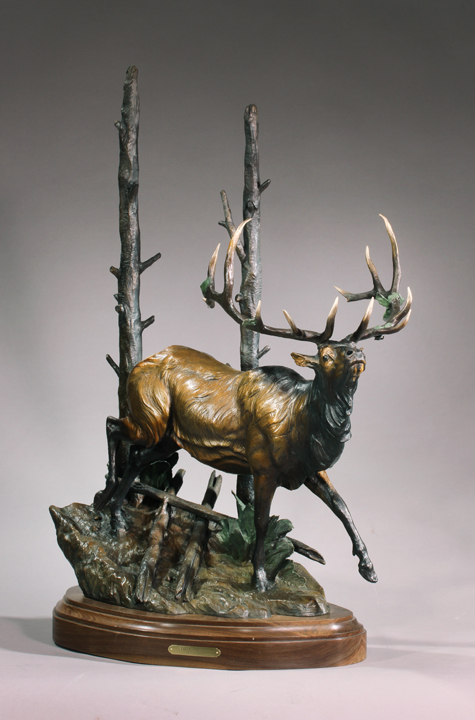 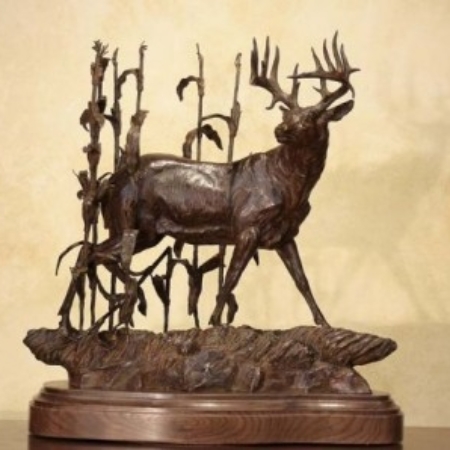 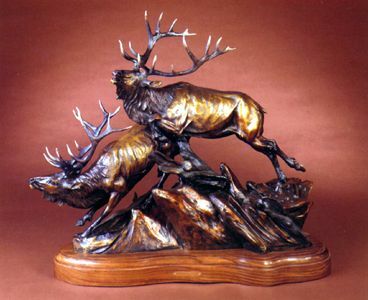 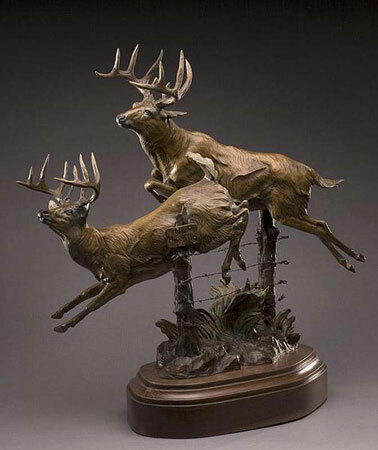 Commissioned by Cabela's, Vic has had the honor to sculpt several monumental bronze sculptures for their stores in Pennsylvania, West Virginia, Texas, Illinois and Louisiana. 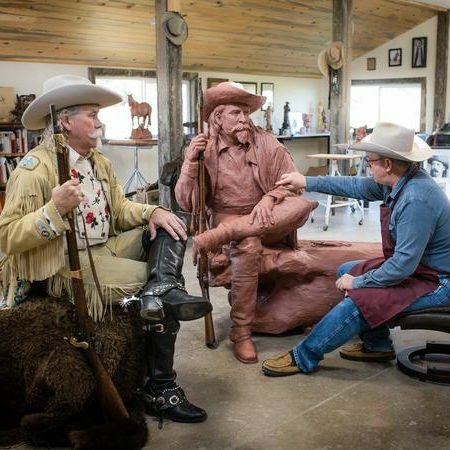 Vic and his wife, Angie Maria and family now make their home in Cody, Wyoming the home of legendary Buffalo Bill and the Buffalo Bill Historical Museum. 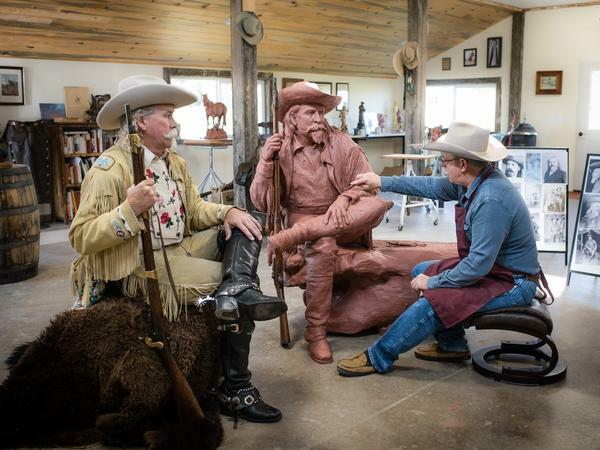 Vic has also established his sculpting studio in Cody, which is open to the public by appointment. 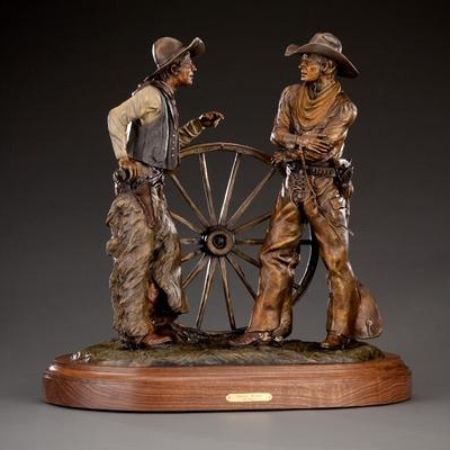 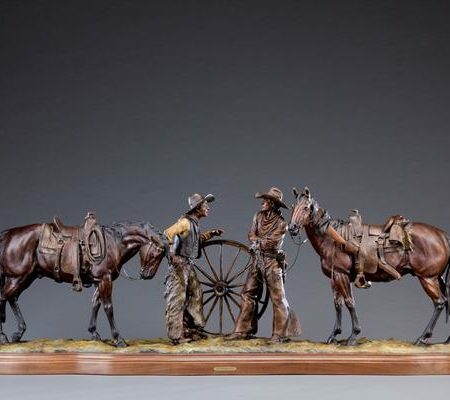 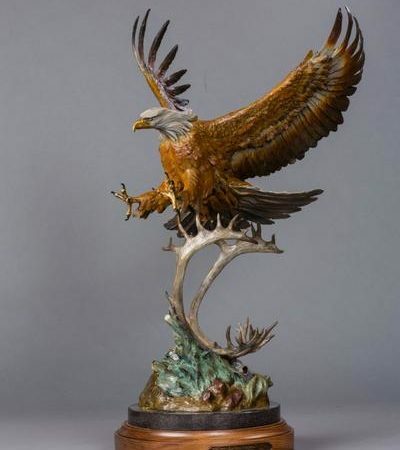 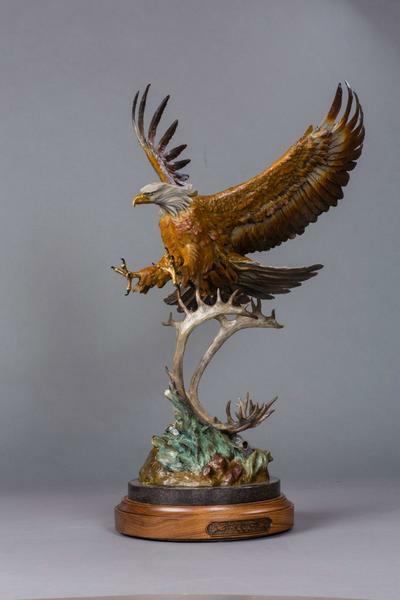 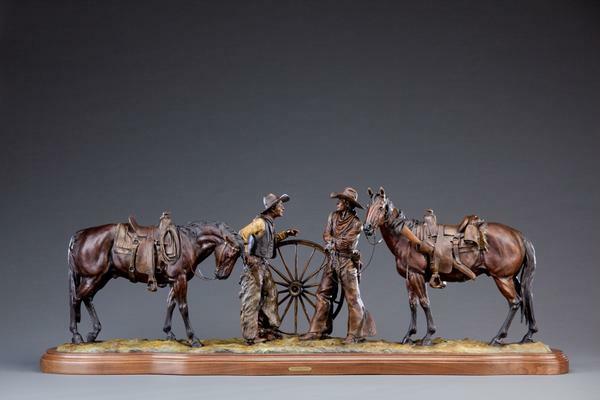 The Payne sculpting legacy has continued with his son Dustin who represents the third generation of professional western sculptors who at the age of twenty-five is already 15 years into his own sculpting career and can be seen sculpting side-by-side with his dad.